All of us at Authority Auto are proud of the fact that we get to make a living by genuinely helping people. Our greatest accomplishment is the relationships we’ve developed with our thousands of happy customers. Hi everyone. I've used Oren at Authority Auto three times in a row now for leasing my last three cars. Oren is an excellent car broker and I very much recommend this service. It's money very well spent. Now getting a new car is a joy for me, cause I highly dislike working with car salesmen at dealerships. So now I let Oren do the deals for me! Oren is very efficient and friendly and has gotten me very good deals three times in a row. The car is always delivered to my home by a dealership and then the salesman shows me all the features of the car. Using a car broker is one of LA's very best kept secrets. I will never get a new car without Oren's help. I found Authority Auto online and the testimonials impressed me enough to give them a try when the time came to get a new car. As a woman who's had her share of bad experiences with car dealerships in the past, I figured using a car concierge would give me an edge - and it did. I'd gone in planning to get a 2- to 3-year old car to drive into the ground, as my tax guy advised. With my heart set on a Prius, working with Dorian showed me that, since Priuses hold their value extremely well, it made no sense to pay around $20K for a car with 50,000 miles on it when I could get a brand-new car with maybe 4 miles on it for just $3,000 more. Dorian walked me through the relative advantages of leasing vs. buying and helped me see that, in my case, leasing made the most sense. When the day came for my beautiful new car to be delivered to my home, Dorian called several times to update and narrow down the arrival time, so I could plan my day more effectively - which was very thoughtful of him, considering it was Labor Day and, on paper, he had the day off. He still took time from his holiday to make sure everything was going well, and share my joy in the arrival of this gorgeous car. I feel confident that I got the best deal because I had an expert negotiator working on my behalf. Many thanks to Dorian and Authority Auto! I have been meaning to write this since spring but I wouldn't be me if I didn't take a long time to do anything. I put buying a car right up there with dentists visits, surgery, getting mugged or almost earning a Darwin Award! I wish this business had been around much longer for my other car buying painful experiences but they are now and I am a happier human for it too. I found a link to them via a edmunds.com article as I was researching my next car. I emailed them and was called the following day. I dealt with Dana, she's is a hoot and gave me great comfort knowing she would be dealing with the devil (sorry I mean car sales folks ) instead of me. I hate the entire process I have had to endure in the past. Not this time my friends, not this time. It goes like this, Dana my hero, I want this this this and or this this and that. She reads it back, I say I have a trade in of this species and these are the specs of said faithful but tired servant. I pay a get out of sales pitch pardon fee (gladly paid I might add) and she says ok I will be in touch in a few days. Keep in mind Superhero Dana is located in California while I am located in North Carolina. She found me my brand new 2014 Prius 4, silver in color, sun roof , leather the list goes on. I knew what a fair price was already, I further knew what my trade in was worth. Given their fee for jumping over tall buildings in a single bound the numbers still have to add up to saving me money no matter how much I despise going to the dentist I still go, right! The math, deal price for the new car lower than expected, purchase price for my trade in was higher than expected, personal time start to finish writing emails and a few phone calls I would say two hours max. Next, go to dealership test drive said car, yup I love it but as I told Dana if they start wheeling and dealing with me I will get in my very functional car and leave. No sale! Not one word about money or blah blah blah was done. All of this Dana took care of on my behalf, she's working for only me in this deal which was also a big source of comfort. Test drive done , I take pics of the contract that Dana reviews in real time (think on call during the entire process just for me) contract as agreed and approved by Dana. I still have to spend thirty some min, please sign here and here and here and omg I hate being here. After I signed my contracts I am handed the keys and the salesman says we always ring this bell for new cars sold. My answer to this, you do and you will see the fastest return of a new car in your dealerships history. And just like that: I'm a new owner of a beautiful new car (cough 50mpg) and it was the most painless car buying experience of my 43 years of existence! So hats off to you Ms. Dana and company, your business plan is long over due and greatly appreciated by myself and others like me I'm sure. I've used Authority Auto for three cars, and I'll use them for the fourth. Oren made the process completely painless. He found a great car, arranged a test drive, negotiated a great price, handled the financing paperwork, and arranged to have the car delivered to me. I didn't have to deal with driving to different dealers, finding a car, all the b.s. involved in haggling with the salesmen. That alone was worth the fee. Even better, the savings he negotiated far exceeded the cost of the service. The best testimonial I can offer is that I have referred friends and colleagues to Authority Auto as well. Oren was such a pleasure to work with. He was honest, heard what I was interested in (didn't try to push) and was easily accessible. Within one week of me contacting him different options were presented to me and a few days after that I had my car (exactly what I was looking for). Oren and his team at Authority Auto were a pleasure to work with and I recommend him/them highly!!!!! Had another great experience with Oren and Authority Auto. They make the car buying process easy and painless. They also negotiate a very solid deal based on their relationships with the dealers. I've recommended them to family and friends!! After working with Dana at Authority Auto, I will NEVER buy a car any other way again. The whole process was so incredibly simple, on my terms and an utter pleasure. I wasn't 100% sure what car I wanted, and Dana was incredibly patient helping me figure it out by setting up multiple test drives and laying things out for me in simple terms. I never had to haggle or feel like less of a consumer as a woman (my previous experience I was talked down to - if talked to at all - the salesmen addressed my then boyfriend instead of me, the buyer - and was told flat out lies about APR rates and my credit), everything was on my schedule and just a delight. The car was even delivered to my house, I didn't need to pick it up or make arrangements. Dana also saved me a ton of money on the deal, which more than paid for her fee. I can't recommend them enough - an actual good car buying experience! Just completed my second purchase using Authority Auto. Oren and his team do an amazing job, and really take a lot of the stress and hassle out of what should be a really fun experience. I was able to lease a brand new lexus for $120 less a month than what I was being quoted for a Mazda. Can't recommend this service highly enough. 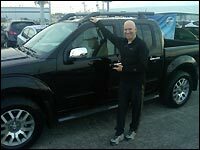 I have purchased a number of vehicles over the years...leased once...some of the purchases were new and some were used. In every case, I always felt and always boasted that I got a great deal...But deep down inside (with only a couple of exceptions) I knew I had been taken to the cleaners by a dealer. I hated that feeling and wanted to never experience it again. To ensure I was getting the best possible deal, and to avoid buyers remorse, I decided to use an agent...And BOY, AM I GLAD I DID! Dana listened to us and understood exactly what we wanted. No games, no secret deals, no pressure, no remorse. She nailed the deal for us and we could not be happier. Authority Auto ROCKS! Just like everyone else here - I had a great experience working with Dorian. It was easy, convenient and transparent. Dorian saved me money on both the new car and got me a good price on a trade-in. This despite the make and model being a best seller. Deserves more stars, but Yelp has its limitations. Let me start by saying this: I work in sales and I've been fortunate throughout my career. Accordingly I consider myself a very good negotiator. The thing is, a good negotiator knows the most important thing is to operate with complete information. I do not have complete information about the auto industry but I know there are plenty of clever ways to structure a deal that appears fair but is actually tipped significantly in the dealer's favor. Here's where Authority Auto steps in, and specifically in my case their agent Kim. Authority Auto negotiates your car deal for you - they have the domain expertise to save you serious cash, and you get the bonus of a white glove treatment as a buyer. They set the appointments, they negotiated the contract, they approved the financing, and they reviewed the documents with me as I was signing. Kim saved me thousands on my Audi S6. If you're buying a less expensive car it will surely be less, but without a doubt it will cover their fee and you owe it to yourself to discover the wonders of a serious concierge service like this. I have used their services twice, once to purchase a brand new custom mustang and again recently to lease a car in a totally different state. Both times, Oren was awesome and provided 5 star customer service as well as even giving advice on other things including car shipping, at no cost, but just as a favor. I would highly recommend Authority to anyone who wants to make car buying easy and painless. Why would you try to buy or lease a car on your own? You need an advocate -- who is 100% on your side --- to get the car you want at the best possible price. Your advocate is Authority Auto. I just had Oren and his staff get 2 cars leased for me! Both cars were higher levels than I thought I could get for the money, so I got more features and benefits. They were delivered to my home with all the paperwork ready and easy to complete. It couldn't have been easier and I could never have gotten such a deal on my own. The people of Authority Auto put every possible effort into getting the vehicle you really want, and finding a something that's more than you were hoping you could afford, and getting it for far less than you could do on your own -- and doing it while you are working, staying at home, or anything else rather than running around trying to find a car, figure out financing, or trying to negotiate a deal. Oren and his wonderful team of people are professional, courteous, and diligent. They make you feel like you're the only one they are working for. The amount you save by having Authority Auto make a deal for you is much more than the fee you pay for the service --- it's well worth it. Thank you to Authority Auto for helping me. I have used Authority Auto for the last 4 cars I have leased and I wouldn't go anywhere else. Oren Weintraub is always positive, listens and negotiates a great deal. He's easy to work with and his staff is superb. It's such a relief to know you you are getting a really good price, AND you never had to set foot in a dealership! This is a great service. Oren was nothing but nice, helpful and a calming force in what could be a stressful transaction. Not only did he save me money but my old car was picked up and my new car was delivered on my schedule. No more hassling with car salespeople again. You get a great service, you save money, and you save a lot of aggravation. I had my old car for 13 years and Oren made it easy to say goodbye to an old friend and welcome in a nice new car with navigation etc. I highly recommend Authority Auto. From the very first call to the last two check up calls after the car was delivered nothing but professionalism. Oren and his team have a service that is far above the rest, it really makes buying your next car so easy. Arranged all the financing and transport of the car to our house. Thanks for all of your help and making it such a smooth, painless process. This is the fifth car our family has bought through Oren and we will continue coming back! Greetings from Pasadena, CA. I've got two common weaknesses, I love cars and I'm impulsive. As the result, I've allowed myself to be taken advantage of by many well meaning car people over the years. This time though, I reached out to a friend for a referral to a trustworthy car resource, Oren Weintraub was referred to me and I trust the person that referred him. Oren's team took great care of me. They found a buyer for my exotic car and located the exact replacement that I had specified, and at a price that was competitive. Meanwhile, I was able to focus on other priorities, serving my own clients important needs. When everything was ready to go, the new car was delivered to my office on a flatbed, accompanied by a qualified dealer representative and the paperwork. I am completely satisfied with the service and professionalism I received from Oren Weontraub, his team, and Authority Auto. The next time I am in the market for a car, I'll be reaching out to Oren and his very capable team. I hadn't purchased a new car in over a decade, partly because I have been ridiculously busy, but also because that last new car took months of research, almost 8 hours at the dealership to negotiate and drove me insane! Authority Auto had been recommended to me by several friends and now I know why. Kim is extremely thorough, professional and patient. I told him what I was looking for, and although the exact model was unavailable, he steered me towards another viable option and even suggested other cars for me in the same price range to make sure I knew everything that was available. I work very long hours and my time is incredibly valuable to me, so it was great to have Kim do all the leg work and get back to me quickly with answers. Within days he had a good offer on the table and was patient with me while my busy schedule had me out of commission for a few of days. When I finally emerged from my work coma, I decided to pull the trigger at 2:30pm on a Friday, answered a few questions and boom - the car was delivered to my office by 5pm. No hassle, no grueling negotiation, no nonsense. I could get right back to work knowing I got a great deal. Anyone who wants to avoid the hassle and save some precious time should give him a call. Authority auto is a top notch service provider and I would absolutely recommend them to anyone even a little apprehensive about the car buying process. I had a nightmare experience on my own negotiating a car with an unnamed dealership. Once I took receipt of the car I was informed my financing did not go through even though I have excellent credit. The dealer called me and attempted to bait and switch me at a higher financing rate. I called them on their shady business practices and they then threatened to repo the car even though no payments were owed. I called them on that as well and we agreed that I would return the car. A day later I get a call informing me they will not take back the car and that they magically got the financing we agreed upon in the first place. At that time I had already hired authority auto and I am glad I did! Oren and Kim were exceptional, taking my panicked calls at 10pm and generally being extremely responsive and accommodating to my unique needs. They informed me of all the potential pitfalls in returning the car and unwinding the deal. They took swift action in locating the two cars I asked for and jumped into action. I had returned the nightmare vehicle on Saturday afternoon and was in my new car Monday night. Authority auto is a professional outfit all the way. I couldn't ask for any greater service as they walked me through every scenario of the buying process, taking the time to assess what the best option was for me. This included decisions such as new v. used, lease v. buy and all of my financing and payment options. Again, I would recommend authority to anyone with reservations about the car buying process or anyone who wants to ensure they will get the best deal. For all of the hours I spent negotiating the other car and the difficulties I encountered after that, in retrospect the fees charged by authority seem minimal and a supreme value. If you value your time, sanity and money go with the best. Go with authority auto. Car delivered to my front door. No hassle, no pressure, no hoops. All for the best possible price. There is no other way to buy or lease a new car. I couldn't be more pleased with Authority Auto. In fact, I strongly encourage anyone I know who is in the market to leverage their services. It is well worth it. I gave them a laundry list of must-haves, and a price cap that I knew was well below market. They found me exactly what I was looking for. The best part was that they negotiated *19%* off the asking price!! I don't think I could have done that myself. They also arranged transportation to deliver it. I could MAYBE do many things myself with enough effort, but the way I see it, I pay a lawyer and an accountant because they're much more efficient and effective than I am. Same in this case. I am absolutely using them for my future purchases. Keep up the excellent service, Authority. DON'T GO AGAINST THE PROS ALONE!! We have leased 2 vehicles using Authority Auto and have been very satisfied with the service. Their approach is PERSONAL and also very professional. You are not a phone number scribbled on the back of an old business card. In both cases we gave them a laundry list of must-haves and a price that fit our budget. in our latest lease, Oren and his staff advised us on the makes and models that fit our criteria, then helped us narrow down to two models. We test drove both cars (without haggling with the dealers) and settled on one vehicle. Oren negotiated a GREAT deal for us and he found us exactly what we were looking for at a lower price and with more features. The car was DELIVERED to us by the dealer with a tank full of gas. All we had to do was sign the papers and take the keys. IMAGINE THAT!! Oren also arranged for us to have a salesperson from the dealership walk us through all the vehicle's features and help us start maximizing our pleasure and enjoyment of our new car. I never thought I'd ever say this, but "I can't wait to lease/buy my next car!!" Thanks Oren and your great team. I worked with Dana to get a new car in record time. From the time I made the online inquiry to the time I drove my new car home from the dealership took just two days! I had a few cars picked out from doing my own research, and Dana helped me narrow it down and did the rest. I dislike negotiating so it was a relief that she took care of that conversation and all I had to do was sign the final papers and pick up my new car. She ensured that the final price she negotiated was not compromised while I was at the dealership. This was after 5 pm on a Friday, so she was working outside her normal hours to help me. Needless to say, I've been recommending Authority Auto to everyone I know. Buying a car has never been so easy. Oren was super nice and got me an amazing deal for a the car I wanted. I will definitely use them for my next car purchase. My lease was about expire and i needed a new vehicle but didn't have the time to deal with the whole process. My cousin recommended Oren at Authority and he was fantastic! After helping me figure out my perfect fit, he sought out and got me a much better price for the exact model / color, etc. He handled all the paperwork and i was able to leave the dealership in 20 minutes with zero hassle. Definitely worth the fee and more. A great value. This was the greatest, simplest, most carefree auto buying experience my wife and I have ever had! Mind you, we had just purchased a 2014 Honda CRV EX-L with AWD and Navigation in May. We thought we got a good deal, but learned differently. You see, three weeks ago my wife's 2006 Honda CRV was broadsided when a driver ran a stop sign just one block from our home. Thankfully, our Honda deployed all it's airbags and protected my wife so that she escaped with minor injuries. The same could not be said for our car which was total loss. We decided to get a car identical to our purchase in May, but in a different color. I learned that there were only three on the entire west coast. I also learned from various dealers that AWD cars are never in good supply in Southern California. They are evidently unaware of how many people live in mountain communities subject to snow and ice. Well, I had read about Authority Auto at Edmunds.com and decided to give them a try. I received a return call from Dorian who immediately made me feel I was in very competent hands. Within 24 hrs he had located the vehicle and at a price that was substantially lower than we had paid in May. Dorian did all the negotiating and kept me informed at every point all along the way. Today, our new CRV was delivered to our home and my wife is delighted to get the exact car she wanted! I am grateful to Dorian for making this such a great experience and will never buy another car at a dealer... Beyond that, I am telling everyone I know, "Authority Auto is the only way to go!" BEST SERVICE EVER!!!!!! I really don't like car dealers. They are sleazy pushy and mostly dishonest. Oren and staff take all the stress and awkwardness out if leasing a car. I've gotten my last 4 cars with their help and I will never do it alone again. You won't be disappointed and their services are worth every penny. Tell em what you want and watch the magic happen!!!!! What a great service! We had no idea we could save so much from what the dealer quoted us and told us was a "steal." We saved thousands thanks to Authority. Authority Auto lives up to the hype -- they make car buying SO simple, AND they saved me time and money. From start to finish, the process was simple, friendly and zero stress. All it took was a few emails and phone calls to get the car I wanted. Chris, the guy I worked with, was very patient and friendly. My entire interactions with Chris totaled no more than 30 minutes, but at the end of the purchasing process it felt like I'd known him for much longer than that (in a good way!). It's worth pointing out that all Authority Auto employees have previously had at least management-level experience working at dealerships, so all of the stressful, time-consuming and complicated aspects of negotiations were completely handled by Chris. Although I did a bit of research myself on how to negotiate for a car before finding Authority Auto, I am so glad that they were able to take all of this off my hands. Even the pick-up process at the dealer was painless--after inspecting the car, test-driving it, and then signing the papers, I was off the dealer lot and headed home within 30-45 minutes. It's worth noting there was zero pressure from the fleet manager at the dealer; no upsells, nothing but good customer service. Chris also made himself available for any calls during the dealer pick-up process, in case anything went wrong or if I had questions. Nothing went wrong and I had no questions, and in fact Chris had to call ME to make sure everything was okay because I was having too much fun driving my car home! BTW, one big note: Authority Auto can have the dealer drive the car to your home, but I was an exception as I was an out-of-state buyer with a special request: I actually had an upcoming, pre-planned trip to Southern California, and wanted to try getting my car there instead of my home state (the dealers here are notorious for not "playing ball"). I therefore asked Chris to see if he could help me with the logistics of 1) selling my trade-in and 2) picking up a new car in California. Not only did Chris make this all possible, but he was able to find the car I wanted in half the time (I gave him a deadline of two weeks; he got my car in one week) and save me money. How much money? According to TrueCar.com, Authority Auto saved me $1400 under invoice, $1900 under what other buyers typically negotiated, and almost $5000 under MSRP. Oh, and Chris threw in two unexpected bonuses: $0 due at signing, and I didn't have to pay my first month's payment. This when I was expecting to pay a total of $2000 or so at signing. My monthly payment was also $150 less than what I was expecting to pay. I therefore could not be more satisfied with my experience with Authority Auto, and will definitely use their services for my next vehicle. If you're on the fence, shoot them an email or give them a call--they're happy to explain their services to you and answer any questions you may have. What can I say? I'm completely flabbergasted. This was by far the most pleasant car shopping experience I've ever had. I don't fancy myself as a car expert at all. I trust people too much, and have been had at dealerships my entire life. I had been driving my previous vehicle for 10 years and accrued 193,000 miles on it. The car was old and in fair condition. When I decided to look for a new car, my friend recommended Oren and Authority Auto. I had the pleasure to deal with Oren. We talked about the type of car I was looking for, my budget, and buying versus leasing. After agreeing to a lease, I went out and test drove some cars. I called him and said I liked the Honda Accord Hybrid. He said he'd start the process, and called me the next day stating that it's priced to sell, not to lease. That night I test drove a few mar cars, and told Oren that I like a Volkswagen Passat TDI. He started working on that. The next day he called me with a couple awesome deals that I know I would never have been able to negotiate. I picked the deal I like the best, and he started negotiating with that dealership further. Once the deal was negotiated, he found a wholesaler who would buy my previous vehicle at $600 over KBB value. Now here comes the best part. Yesterday, he scheduled the wholesaler to come to my place of work. He came, did a walk-through of my car, wrote me a check, and drove of with it. Then, the VW dealership who had my new car (and was located 30+ miles away), arrived at my office 45+ minutes later with the car and the paperwork. Oren was on-call for the entire process. It was perfectly timed. Again, I'm completely satisfied and thrilled with the experience that Authority Auto provided me. I've already told a few friends about it and WILL NOT HESITATE to use them again for my car shopping needs. I just completed my 4th pre-owned vehicle purchase through Authority Auto since 2009. I have also referred several friends and all of my business partners to him. The level of service and professionalism that Oren provides is outstanding. My only regret is that I didn't find this service years sooner. Oren makes the auto buying process, not just painless, but actually enjoyable. Plus, I know he consistency negotiates a better deal, including his fee, that I would without him. In my opinion, Authority Auto is the only way to buy a car. Oren rocks. Pure and simple. This is my 5th car I've bought with him. Absolutely hassle free. But more importantly, killer deal. And I mean KILLER! I don't know how he did it, but he saved me thousands on an incredible lease deal. So happy with my new car. Don't waste your time trying to do this yourself. Get with Oren! You won't regret it. Oren and his team are incredible. I have relied on Authority Auto for 7 cars over the years and each experience has been terrific. The service is impeccable and for anyone who values their time...there is no smoother process than leasing or buying a car with Authority Auto. Most importantly, you will not get a better deal on your car..anywhere...or with anyone else. For the first couple of cars I grinded dealers on my own and no matter how far I took them...Authority Auto was able to come in and crush the deal! I have referred Authority Auto to nearly 10 friends and all share the same experiences. Top to bottom...Authority Auto is your most talented advocate. Authority Auto is a bunch of guys with integrity in spades and nothing but the consumers best interest at heart. I was finally ready to turn in my old beater and get into something new. Not only was I confused about what to buy, but how to go about doing it as well. I spent time on the phone with Oren and Chris and both of them were enormously helpful in guiding me through the ins and outs of the buying process as well as helpful tips on cars that would be good for me and my family. I ended up getting a great deal on the car I didn't even know I wanted which is a perfect fit for me. They were flexible in the process and patient with all of my questions and concerns. I'd highly recommend the services of Authority Auto whether you want them to cover the whole process for you or just make sure the deal you negotiated is the best one. Good luck on your next car, and don't hesitate to give these guys a call if you need a hand. I have just completed my 3rd car lease through Authority Auto plus 2 leases that we did for my wife's car. Like most of their clients, I dreaded dealing with car dealers after some horrific experiences. I would analogize the relationship of working with Authority Auto to hiring an attorney for a court appearance and you feel like you have someone looking out for your interests during a complicated process. You could do it yourself but why if there is an option like Authority Auto in the marketplace. In addition to their negotiating skills, they will have your car delivered to your door saving you a trip to a distant dealer. One of the things that you have to realize about Authority Auto is that they are seeing prices on cars that are unavailable to you or me and the general public. Oren and his team will buy hundreds of cars in a given a year from certain dealers and his pricing is not something that you can compete with buying or leasing a car every 2 or 3 years no matter how loyal you may be to a certain dealer or salesman. When you factor in the cost of Authority Auto's service and amortize it over your loan term it is a great idea to feel like you have someone else on your side. The fee is reasonable. 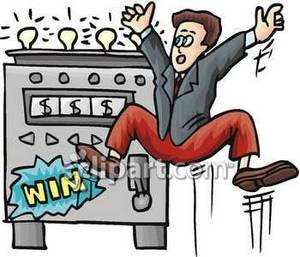 Oren does not represent the dealer's interest but you can take advantage of his clout with them for your benefit. I plan to continue to use and recommend their service to many friends and family in the future. Thank you Oren and team I love my new car! DON'T WASTE YOUR TIME SHOPPING THE BEST DEAL. Yes, that's in all caps. If you're like me, and think you can find the best deal, great. Do so, and let Oren take it from there and crush it -OR- If you really don't have the time to waste scouring the internet, or deal with pushy sales people at the local auto store... Take all of the stress and time wasted out of car buying or leasing. Oren and his crew at Authority Auto are quick and efficient; Put your request in with A.A., and your vehicle will arrive at your home. It's pretty much that simple. This is our third acquisition that A.A. has delivered on, and they have continually cleared impossible hurdles as to pricing and timelines, and time sensitive demands... and they have consistently delivered below the best initial best pricing we could find. A.A. makes car buying or leasing the most painless feat imaginable. Oren @ Authority Auto... THE only way to go. I was quite reluctant to use a car broker, I didn't really believe they were worth their fee...wowzer, was I wrong....I was referred to Oren by a friend who swore that her lease deal was unrivaled, so I gave him a shot...He was honest, accommodating, funny, and most importantly, effective. He arranged for test drives, tolerated my neurotic phone calls ("are you SURE that car is a terrible deal right now? "), and in the end, he got me an amazing deal on a very popular car, that no dealer was willing to match or even come close to. I really appreciate that he did not let me get a car that would have been a terrible deal. Integrity. Worth the fee for sure. And oh my god, it is awesome not having to deal with car salespeople!! Oren helped us lease two and buy one car over the past six months. 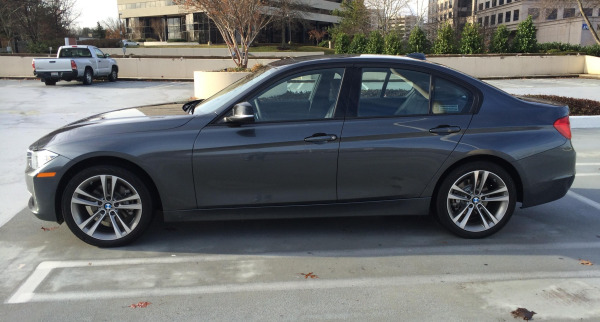 From Hyundai to BMW, he was patient, diligent and successful in getting us great deals. Rather than spending hours in dealerships trying to make deals, we had cars delivered to our home, hassle-free. The fee charged is well worth the service provided and may have ended up saving us money (and many headaches!) in the end. This review is long overdue. 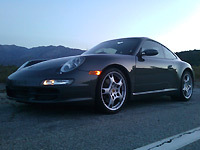 I got my current vehicle (Porsche Boxster) from Oren a couple of years ago, before Yelp was an active source of reviews. The reason I decided on utilizing his service is that I'm not a fan of making trips to the car dealerships and feeling as though I'm a guppy in a literal shark tank. The fake smiles, the in-house competition among sales staff, and the overall creep factor of most dealerships just isn't my cup of tea. Authority Auto's full concierge service allowed me to consider and compare 2-3 vehicles that I was eyeing, since I wasn't dead set on any particular make/model. During this process, the numbers were clearly explained to me, and they checked out accurately as you'd find in the auto blogs and research forums. You're truly paying for the time and effort you'd put in on your own, not to mention the expertise and experience they bring to the table, which most of us don't have when it comes to car-buying. Along the way, my favorite part was the access I had to hassle-free test drives of my chosen vehicles. I'd be met at the dealers by specific staff that are instructed to give me VIP, non-sales treatment, in taking me for a test drive of the car I was considering. Each time I'd arrive, the car would be ready to go, and the typically time consuming process of test-driving vehicles became easy-breezy. This was one of my favorite aspects of the service, because in my honest opinion, car buying should be easy and fun. Within about a week, I knew which car I wanted. Oren and his staff then got into negotiations to get me the best deal on it, with a few extras that they never even mentioned in the beginning. A delivery date was set for my car, and they brought it right into my driveway. They even helped me me turn in my other vehicle that very same day so I could seamlessly transition into my new "baby". Throughout this process, I've stayed in touch with Authority Auto, asking for recommendations on tire repair places (the 405 construction has left me having to deal with a nail in one of the wheels every other week), Porsche-certified body repair (for the time that a giant Mercedes back up into my parked car), and for general questions on vehicle operation. Can't say enough about how this concierge service makes car shopping a fun and worthwhile experience, versus the CHORE that it really is, when you do it on your own. If you've ever had a bad customer service experience at a dealership, why not save yourself the misery and have Oren and his peeps do all the dirty work for you? Seriously, the aggravation you're saving yourself from is worth the $$ all on its own. I highly recommend Authority Auto. I live in the Washington metropolitan area and was concerned about the getting the best deal or fair deal for the Mercedes E350. I did my preliminary due diligence and was not confident in being able to negotiate the best deal since my research revealed the same deals or percentages of savings from 6 dealerships throughout the area. At this point in my life I value my time, I don't want the aggravation and frustration in the laborious, tedious, emotional, negotiating process. I was referred from a friend who previously used Oren's services and was impressed with the efficiency and savings. I decided to allow someone with the skill set, impressive reputation from consumer advocates and financial industries, and knowledge of the auto industry secure the car for me while I spend my time working and doing more enjoyable things. The process was quick and easy. I even received concierge services from my local dealership for a few follow-up questions and some complimentary auto accessories. I felt supported throughout the entire process and no longer had to worry about the stressful negotiation process. Once again, thank you Oren and Angela De Jesus and the team for a great job!!!!!!! I was in the market for a new car, and had gone to a couple of dealerships, and thought I was getting a pretty good deal. I called Oren Weintraub to see if he could find a better price. Not only did he find me a way better deal, he also showed me how I could buyout my current lease and actually make money off of my old car! Authority Auto made this the easiest, most hassle-free car experience I've ever had. They delivered my new car and picked up my old car, all in one afternoon. I couldn't reccommend them more. I will never step foot into a dealership again! A week after buying my car, I feel inclined to write this review and express how pleased I am with choosing Authority Auto. Oren and his team deliver on their promises and helped me get the car i have had my eye on for a long time at a price that the dealer simply said wasn't going to happen. The bottom line is these guys are professionals at what they do and really make the whole car buying process much more pleasant while reducing your costs. Highly recommended! I read the other reviews of this business after hearing good things from a co-worker who used their services to recently purchase a new car and I cannot say enough great things about them. I worked with Oren, the president of the company, and chatted on the phone with him for maybe 20-30 minutes about what I was looking for and the features that were must haves vs non-necessities. I love reading about cars and learning about the latest and newest features. So, I already knew which car I wanted and the names of all the various packages each year's model could come with (I was looking for an Audi Q5, either new or certified pre-owned). Oren listened very carefully to all my requests and questions and answered them honestly and thoroughly. Basically, his service allows you to take all the stress out of the car buying experience. You pick which car you want. You tell him exactly what you're looking for. And he does the rest. And he KNOWS WHAT HE IS DOING! Talk about having an expert in your corner. I mean, I've bought cars before and while I felt like I got a good deal and was happy in the end, in this experience, I walked out of that dealership KNOWING I COULD NEVER HAVE NEGOTIATED THE DEAL THAT OREN DID. And I got exactly what I wanted. And I didn't have to deal with sitting there, haggling with the salesmen, while they ran to their managers to seek approval, only to have them come back with minimal compromise. This time, Oren did all that for me. He researched the car I chose, looked for new and CPO models, and after finding one, contacted me and told me he had a good contact at the dealership where the car was located. I found the car on-line, read about it, made sure it had all the things I wanted, and told him to go ahead and negotiate a deal. He brought the dealer down by thousands of dollars!! I mean, the price I paid for it was lower than the car is actually worth!!! I know the dealership made money on the car or they wouldn't have sold it. And it was a trade in so they probably gave the guy who turned it in a low amount for it. So they turned a profit undoubtedly. But the key thing to remember is that I got a sweet deal out of it too, one that I would never have been able to get on my own. And I didn't have to do the negotiating. Last thing since I already wrote a lot is that Oren was on-call for me the day I went to purchase the car. He was by his phone, answering my questions and giving me advice about how to handle things at the dealer. He wasn't pushy. He made sure this was the car I wanted. He did his research though and he knew that the deal he was getting on this car was awesome. And I could tell in his voice and in his tone that there was genuine sincerity and an excitedness for a customer that he was able to help. I am very thankful for his help because he really made this the easiest and most stress-free car buying experience I have every had. I will definitely use his service again. HIGHLY RECOMMENDED!! I gotta hand it to Oren (the President) at Authority Auto. He and his team were fantastic and helpful from start to finish. I will admit that my case was a bit odd...due to the Japan earthquake, the car I wanted wasn't in stock anywhere for months. But that didn't stop them from looking high and low for me, and eventually found me just what I wanted from a dealership that was all the way up in Beverly Hills. But Authority did ALL the legwork, including getting the car delivered to me! I never had to drive to the dealer once. None of that nonsense trying to be sold on all those crazy options, coverage plans, rust coatings, extra insurances, etc. Once Authority sent me a PDF listing the car's details, options, and pricing, I had the opportunity to look it over and decide if it was right for me. They're very easy to work with and never try to pressure you into a car you don't want. If you're not happy, you just say no and they'll go find you something that meets your needs. They were immediately responsive via email and phone whenever I had questions, and are there for you until you can find the car you want. Once I gave them the go-ahead on the car I wanted with the options it had, they contacted the dealer and secured me the car. They even got me on a 3-way call with the dealer so I could ask any questions and clarify the process with them. After signing and returning some documents via e-mail, I literally had the car DELIVERED to my front door by 12pm the next day! The gentleman that delivered the car was extremely helpful and knowledgeable, and walked me through every feature of the car, helping me setup the bluetooth, garage opener, etc. Once I was comfortable with everything he left me the car and that was it! I know for some people, the cost of a car is enough, and paying even more to have someone help you might not seem worth it, but if you literally want to do almost no work except for the fun parts (picking out the car and having it show up at your house) then these folks are for you. I would gladly pay to not have to sit at a dealer for hours on end, haggling on price, trying to figure out lease terms, optional packages, etc. Definitely give them a shot for your next car. Now that I've experienced it I wouldn't want to buy one any other way! I am very skeptical of car dealerships. I have never felt comfortable with the service and deals I have received when I have negotiated on my own. Authority Automade the process easy and I got a great deal on my BMW. I went to the dealer and I was totally amazed! Not only did I find and get the exact car I have been wanting and needing, I was treated better than I had ever been in ANY retail environment. I saved a lot. Dear Authority Auto, Once again you have done more then was asked. During the past 5years you have saved me thousands of dollars in the leasing as well as purchase of my cars. Starting with my BMW 5 series to my two Lexus GS series and now for my wifeâs Range Rover. You are always professional, courteous and more importantly trust worthy. You truly make the experience of purchasing a new car very pleasant. Thanks for all your help. This went so perfectly that I’ve already told my story to many people. I got exactly what I wanted with no hassle whatsoever. I think the price you found versus what I believed I could get more than made up for the service fee. This is absolutely the only way to buy a car. My experience surpassed my expectations!!! I was in a significant car accident, where I was rear-ended and my car (a Mercedes S-Class) was totaled--since I owned the car (for 7+ years) I was given a payout that couldn't come close to replacing the car. I was fortunate enough to be able to borrow my mother's 'extra' car, and drove it for 5+ months until my parents told me to get a car already; that I was taking advantage and they were taking the car back. So I called Oren Weintraub (who was recommended to me by literally 7 or 8 people),I told him my circumstances, what I was looking for/interested in and 'put it to him'. This was on Wednesday, by Sunday I had the car I most wanted delivered to me in my own driveway. To be clear, I had done my research/legwork, and with the information I had, I thought I would have to downgrade my expectations to find a car that would better fit my budget...Without exaggeration, and without Oren, I am driving a Toyota or Kia (not that there is anything wrong with that) versus my stunningly new (it still SMELLS new) 2014 Lexus ES 350. After spending months debating and looking for a car I called Oren and told him the best deal I had found and he literally KILLED IT!!! For the car I purchased, the best deal I had found was: $469/mo and $3500 down; after one conversation with Oren I was quoted $359/mo and $910 down I was SOLD...but wait, IT GETS BETTER...the day the car was to be delivered (to my front door--with someone who sat in the car with me explained every feature, paired my phone and contacts, etc. ), Oren calls me and tells me the final numbers were $330/mo and $877 down (and the DOWN included my first months payment). He literally saved me, $139/mo and $2623 down (that equates to more than $5900 in saving from a single conversation with Oren). I couldn't be happier with Oren and everything that transpired--how quickly he made it happen, the ridiculous pricing, the ease and simplicity of the transaction, the 'handholding' every step of the way, and simply the overall service I received from A to Z. He is a man of his word and a guru in the car buying experience! Simply put, I could NOT be happier--thank you to Oren and his team! I will NEVER do another car transaction without you!!!! I just went out and smelled my new car again...I am over the moon!!! Dana Middleton began working on my deal March 4, and I had my new Ford Focus ST in my driveway on March 10! She explained that the Focus ST equipped as I wanted is usually a special order car, so I was resigned to having to order from Ford and wait 2-3 months. By midweek, Dana had located the exact car I wanted at a dealer about 80 miles away. Someone had ordered it and then decided not to buy it. I preferred to buy from my local dealer, so Dana facilitated a dealer trade. I was able to see the window sticker and the buyer purchase order in advance (by email) so there would be no surprises when I picked up the car. Dana negotiated a fair deal with a significant discount, as well as taking advantage of the available Ford cash back incentive. Dana was on standby when I visited the dealer but I did not need to call her. All the paperwork was as promised and I was able to drive my new car off the lot about 1 hour after arriving to sign the documents. Thanks for a stress free buying experience!! You guys are the best! I wish people knew how valuable it is to have an Authority working for you when purchasing a car or lease. Recently, you found my daughter's dream car and at a price that we couldn't beat on our own. Thank you AA! You are the best kept secret in Los Angeles!! Hi, I am Marie. I helped my mom get her new Toyota through Authority Auto. She needed a new car quickly since her 1995 Toyota Camry with over 100,000 miles on it was on its last legs. I contacted Kim on a Friday afternoon and my mom had her new 2014 Toyota Camry just as she wanted it, delivered to her house the following Friday. They even towed the trade in away. My mom is thrilled with her new car and the service we got from Authority Auto working with Ourisman Toyota in Fairfax, VA. Thank you! Thank you so much for everything you did so to make my car buying experience an enjoyable one. Your professional yet simple approach took the anxiety out of the process and assured me of a good deal. I am grateful to Kim Haavet for his assistance and to everyone at Authority Auto for their support. I worked with Dana at Authority Auto. It was one of the best financial investments I've ever made. I went with their $795 package. She not only got them to go nearly $4K below MSRP, but she also negotiated a rock bottom interest rate for me. Do NOT buy a car unless you hire these guys! Authority Auto was fantastic to work with. I was in the middle of moving back to the United States from a work assignment abroad and while I had test driven the cars on my own time, I didn't have any spare time to find the specific car I wanted or haggle with dealers for a fair price on a car and eventual lease. Kim took on the challenge of finding a very specific set of options in the BMW 3-Series that I knew were not readily available in the US market and I wasn't really prepared to scale back my list of demands. You can imagine my surprise when Kim called back earlier than expected (in fact, I wasn't expecting to hear from him for another week at the earliest) to say he had found what might have been the only car currently available that wouldn't require a custom order. This was critical because I had a very specific delivery timeline that every dealer I had previously contacted was unable to meet. In addition to finding the car, Kim managed to pack more options into the car than were on my list (a good thing) and for LESS money than the numbers other dealers were spit balling at me as their best and final offers. Unbelievable! Finally, on the day I went to pick up my car, Kim was standing by on the phone as the Finance Director threw last minute options at me and he patiently explained the pros and cons and offered to negotiate those options too if I decided to take them. Kim's advice, however, was spot on and he saved me from falling into any traps as the final paperwork was being signed. As a I happily boasted to the dealership, I had a team of experts standing in my corner who took care of everything and who I trusted implicitly. I definitely wasn't wrong and can't wait to work with Authority Auto again in the future! Thank you! I recommend Oren and Authority Auto with my highest endorsement. I did my research on the three autos I was most interested in and took test drives to be sure. Authority then prepared cost summaries to help me narrow the field and understand the incentives available and the projected monthly cost of ownership for each. It was very interesting to see the reaction of the salesperson after the test drive when I told him that my representative would be in touch to negotiate the deal! There were several funny conversations with dealer staff about "why anyone would pay someone else to make a deal", but I told them that was the only way I would work. I explained that my clients hire me to negotiate in my area of specialization, and I decided it was only smart to do the same.I let the salesperson know that I would not talk about money, only to research the car - the rest had to go through Authority. I was good to go on one particular vehicle but the cost was higher than I wanted, so Oren actually negotiated on my second choice too, then used their offer to get my first choice at a MUCH more reasonable price. The two dealers were across the street from each other, and he used that to his advantage ; ). Oren also worked the two dealers on the value of my trade in and got me thousands more than the initial offer by relentlessly negotiating. No way I could have done that well. Authority Auto saved me much more than I paid them, and got me something even better - a great deal AND a positive relationship with the dealer. Since they did all of the negotiating, I was able to stand back and remain completely neutral. There is no way I would like the dealer this much if I had to negotiate this deal with them. I have nothing but great things to say about the service, and will use them for any and all auto lease or purchase deals in the future. There are not enough words to describe how fortunate I am to have worked with Dana at Authority Auto! From day one she made the process very personable. She listened, she cared and she kept me informed about every step! I found the car of my dreams and I thank Dana for helping me make that dream happen. I will never buy a car without Authority Auto. It was the easiest way to buy a new car. I knew I was going to save money and find the best price for the car I wanted. Well worth every Penny! I heard about Authority Auto Buying Specialists when they advertised on the radio, so when I needed a car, I gave them a call. And I've got to tell you, I had a great experience. I can't recommend them highly enough. I met Oren, the owner, personally. He's a great guy, and provided great service... AND I got the car I wanted at the most competitive price out there. Authority Auto Buying Specialists is a unique car buying experience. Whether you buy or lease, it's like having your own Auto Industry Insider getting you a great deal on any car make or model you're looking for. They have extensive knowledge and experience, and they do not accept dealer commissions, because they're looking out for YOUR best interest. It's been nearly one week since I purchased my newer vehicle. Jessi and Kim were my contacts and Jessi was wonderful. If I had a question about the status of their search for a newer car for me, Jessi came through every time. Kim did an amazing job of looking for what was on my wish list. My experience working with Authority Auto was a huge positive, since I work over 60-hours a week, the time to research and find a newer car was just not there for me. I will tell all who will listen that if you want a painless and stress free car buying experience with professional intervention, Authority Auto is the path to go to a successful outcome. I applaud Authority Auto's integrity and experience to give this customer the freedom of a stress-free buying experience. The value these folks deliver for the service provided is outstanding. I wanted to replace a sports car that was totaled with a car of the same model and vintage. They did not even try to "up sell" me to a new car. They found the used vehicle (not a small feat in todays used car market), got it under the asking price and inside the amount the insurance company offered, arranged inspection and delivery. They supplied superior knowledge about automotive matters, delivered great service, got a more then fair price and took a HUGE headache out of the car buying experience. It will be the most value you ever receive for dollars spent on automotive needs. Thank you for a great experience. I’m happy to report that I’m enjoying my new Volvo XC70 and the whole lease process from choosing a vehicle to receiving it was smooth and efficient. Of course, I checked around for prices and Authority Auto can’t be beat! The fact that I could purchase from the comfort of my home was a huge bonus. I’ll be using Authority Auto in the future. 5 star experience. I have never enjoyed the car buying process. The negotiation and hassle have always been very unpleasant to me. Having found Authority Auto, I will never again buy a car the old way. Just tell them what you want and they do the rest. I got exactly the car I asked for, at a very good price, and I even had it delivered to my door. What more could you ask for. Five Stars for Authority Auto. Sometimes you want to shop, and sometimes you want someone else to do the shopping for you. For the latter times, Authority Auto is the way to go: build your car, send them the specs, and let them get it to you! It is easier than buying a pair of jeans. Really. I called Chris on Wednesday--or maybe it was Thursday--and by Saturday, I had the car I wanted delivered to my door. Un-believable! Chris and Oren are professional, direct, up front, and knowledgable. They also helped me sell the car I was replacing, as well as advising me on extended warranty packages on the new car I had bought; it was truly one-stop shopping. Thank you Chris and Oren; I would recommend you to anyone without reservation. It's been a great pleasure to be a client and I could not speak more highly of the services and excellence our family has experienced with Oren Weintraub and Authority Auto. From my Mom's original Lexus purchase in 2005, to my ex-girlfriend's pre-owned Honda purchase in 2007, to my cousin's new Mercedes purchase in 2010, and my Mother's recent new 2013 Lexus hybrid purchase; every time Oren has ensured that we got everything we wanted at prices that simply were not available to us via the internet and negotiating with dealerships directly. He repeatedly beat the best deals we could find WITH added bonuses. His communication and conscientious professionalism were simply outstanding, and I would highly recommend him and his company to anyone seeking to find the best deal possible in purchasing a vehicle. Three years ago I called Authority Auto for help in getting a new car. Best car decision I've ever made! Oren was there to help me every step of the way and when I finally made my decision on my top 2 cars I wanted, he negotiated two GREAT deals! I decided on leasing a 2011 Sonata. When my lease was (literally) almost up, I again called Authority Auto for help. I was going to be traveling on business and as a result had only 5 days to get out of my old Sonata and into a new car. This time I worked with Chris who did an amazing job! Within 3 days Chris negotiated an incredible deal on a 2013 Sonata; not only were the lease terms better than I'd hoped but the car has more features than I thought I would be able to get. I absolutely trust Authority Auto to look out for me and get me not just a (much) better deal than I could get myself but the BEST deal possible! And they go above and beyond just negotiating the terms of the deal. The service Oren and his team offer both during the car buying/leasing process AND after the car is delivered truly epitomizes "customer care". I can't imagine ever getting a car without using Authority Auto!! I used Chris from Auto Authority to buy a certified pre-owned Lexis and also to sell my old Volvo. Chris was very helpful, efficient, and made the handling of these two transactions painless. I also saved money on the purchase, and got a fair price for the used car. I have highly recommended Chris & Auto Authority to friends & colleagues & will continue to do so. He saved us time and money, and eliminated the stress, aggravation and additional time that usually occurs when we buy a new car or sell and old one. Oren and his staff did a tremendous job , getting me into the exact car that I wanted, and saving me $6,000 as compared to the offer that the dealer made. Authority Auto is extremely professional, pays attention to detail, listens to what their customer wants, and gets the job done. Will use them again and recommend them highly! Thanks to you, my car-buying experience was GREAT! Now, you folks have to understand a few little things. My husband and I are in our sixties. We do not live in an area with easily reached auto dealerships. I was not looking forward to spending evenings and weekends going from dealer to dealer, getting in and out of cars. Neither of us is car people. We are lousy negotiators. And we needed to buy a car for me. With all my specifications, cautions, preferences, suggestions, etc., Kim, the Auto Angel, went off to do his magic. Within a week, he had two cars for me to choose from. He sent photos of both cars for my husband and me to look over in the comfort of our home. Great, huh? Phone calls and emails, more calls and emails (can you tell I'm a ditherer? ), and yet more of each. Anyone who answered the phone at Authority Auto was kind, knowledgeable, and helpful. Return calls and emails were done with dispatch. In each interaction, Kim remained pleasant, calm, and patient. He answered questions; not once did he make me feel as if I had to know these things. No-guilt auto shopping. Great! Can we see the cars? Yes, even test drive them. Kim had us fill out financing papers (better rate than our bank). And he even arranged for the car to be delivered right to our door. I went for a test drive near the house, and loved the car. Now it's mine. GREAT. Would I recommend Authority Auto? In a New York minute! And I have. There are so many reasons for choosing Authority Auto. 1. They are on your side in the car-buying war. 2. If you are busy, they bring the search time down. 3. Unsure of what you want? 4. Wouldn't know to look for an Audi in a Lexus dealership? 5. Don't want to spend time in the hot summer sun or on chilly winter nights? 6. Looking for something special? 8. Prefer not to dealer-hop? 9. Dealerships too far apart or too far away? Authority Auto is, wheels down, the best way to shop for a car. Thank you, Kim and the group, for your help. Wanted to thank you and Oren for a great painless process that not only saved us money over the life of the lease but also made the car buying process rather pleasant. Would not hesitate to use you services in the future and or recommend them to friends who are interested in acquiring a new vehicle. Thank you for all. I had a bit of an emergency. I was leaving on a two month road trip and wanted to buy a car before I left. I gave Kim and Jessi three days to get my car. They never even blinked. In three days, the deal was on the table - exactly as asked for. I picked the car up on a Saturday and headed out for 600 miles on the Monday. I avoided all the headaches, was assured of a good price and had the car of my choice...... in three days. Thank you both, Kim and Jessi. This was my 3rd car used purchase through authority auto in as many years. As usual the service was outstanding and delivered exactly what I wanted at a savings of thousands of dollars than if I had tried to get the car on my own. I recommend you guys to everyone I know purchasing a car! Thanks again to Kim and his team. I learned about Oren and his business through an office colleague of mine who spoke very highly of him. Given the predicament that I was in with my then-current vehicle I decided I owed it to myself to at least speak with him. Long story short, it could not have worked out any better. Oren got me the exact vehicle I wanted, the highest possible value on the trade, and a new structure that set me up perfectly for my NEXT vehicle; all within 2 days. All outcomes I clearly could not have managed on my own. I was so satisfied with my experience with Oren that I put my wife in touch with him and hes now negotiating her deal. Now a customer for life, high praise. Thank you Jessi and Kim! This has been a great experience and I will be happy to use your services in the future! I have to be honest, I have been completely blown away with the process - from the initial engagement with Jessie, your research and advice, the wholesaler contact and the door to door service. I kept waiting for a "catch" but the transaction was seamless. On top of that, the dealership drove our old car away and Kim got us a great price on our used car. I was dreading the process but everything was taken care of in a week. Amazing! Well you did it again!! 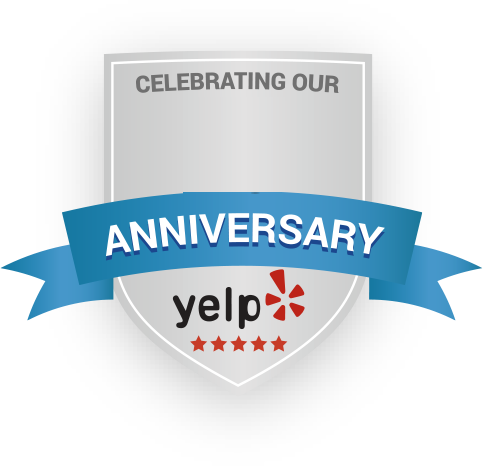 It has been 5 years and 3 vehicles since we were referred to you, and again you have exceeded our expectations. You take the hassle and stress out of the whole car buying experience. When the factory messed up our order, you were right on top of it. Your consideration and relentless follow up ensured that we not only got the vehicle we wanted at a fantastic price, but in ½ the time. We happily tell everyone about our experience with Auto Authority (& Oren), knowing that once they experience the savings and professional service for themselves, they like us will become customers for life. THANK YOU OREN! I love my Expedition!! Thank you for the handling of my end of lease transition into a new one. Because of you the transition went smoothly and without a hitch. Your professionalism and dedication was appreciated and of course I will be using your services in the future. Consider me a value customer who will continuously pass along your name to others in need of your service. Authority Auto more than exceeded my expectations. From the first phone call to the delivery of my new car, everything was handled with professionalism and integrity. Within a matter of days, the car with my exact specifications and price point well below invoice was delivered to my door without my having to go through the dreaded haggling with a dealership. Authority Auto also handled the trade-in of my old car. I will be referring all of my friends to Oren and his staff at Authority Auto! My experience using Authority Auto was very pleasant. Oren was responsive, professional and did all the heavy lifting. He found one dealer to buy my car and sell me one from his stock. The final prices were good and I saved a ton of time. I would use Authority again. To anyone considering purchasing a car: DO NOT DO IT WITHOUT OREN AND AUTHORITY AUTO! Our family has now just purchased our sixth car with Oren and I will never do it any other way. The personalized care and professionalism from Oren and the entire staff is outstanding. They have assisted in buying, selling and trading cars for me and in every situation I have had a great and financially successful outcome. In each and every transaction we came out better than I could expect. No matter how good you think you are in buying cars, trust me, Oren is better and I have six experiences to prove it. I had a very positive experience with Kim and everyone at Authority Auto. The entire car buying and trade-in process was painless and convenient. So far, I'm very happy with my new Ford Explorer, and I wouldn't hesitate to use Authority Auto for future automobile purchases. I am very pleased to furnish you a testimonial. I never had such an easy time buying a car. It saved me many hours to trying to find a dealer that had what I wanted (or that I would do business with). The always difficult part of negotiating a price and feeling that it was a good deal for me was taken out of my hands by those who have the experience and know what is good and what is bad. Finding financing for me at the best level also saved a lot of time and frustration. Making sure that the contract was fair and correct and having the car and all of the paperwork personally delivered to my home took the pressure out of doing it at the dealer. It was a very worthwhile experience, and it left me with the feeling that I have friends I can always go to if I have a problem. Needless to say, recommending you would be my pleasure. I was apprehensive about the process of searching for and buying a new car, and had doubts that using a service would make it much better. With two small kids and zero extra time, I didn’t want to have to sell our vehicles or search and haggle for a new one. I decided to give Authority Auto a try, and I am amazed at how easy they made the car-buying experience! Authority was a true partner in the whole transaction. Not only did Kim handle both of our trade-ins, but he also negotiated a fantastic price on the car I wanted. I am very, very, pleased. You guys are the best. It’s nice to not have to deal with the dealer, no haggling, no back and forth, and no wasted time. I only wish that I had discovered AA on the Edmunds website earlier because it would have saved me months and hours of time trying to decide on which car I could afford to lease. The greatest benefit I gained by using your service was confidence that I didn't have to negotiate anymore with the dealerships. Kim handled everything professionally. When I was confused about which car to choose since we couldn't get a deal on my first choice, he was patient and walked me through all of my car options. When Acura popped back up as an option I was so relieved and figured this was going to be the car that would meet all of my needs. Kim followed through and did everything he promised, delivered the right car for me within the budget I had laid out for him. I can't wait for my next lease, I will call him at the beginning of my search and not at the end and will save time and more $$ than before... Way to go Authority! I was very happy with the service Authority Auto provided, I am going to continue working with them and recommend them to anyone else who is looking to buy or sell a car. I love my new Suburban!!! Thank you for your professional assistance in helping me buy a car. 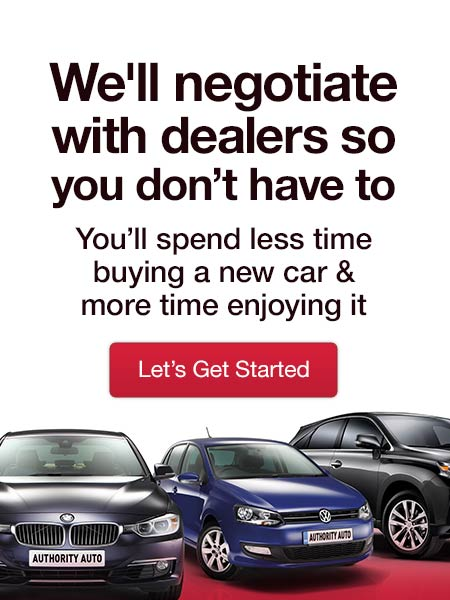 I do not have the time or desire to go from dealer to dealer trying to get the best deal. If you feel the same hire Kim at Authority Auto it is well worth the fee. Every step of the way was professional,accurate and saved me time and money. Thank you. Your company insightfully addressed its services to a market niche that tends to grow significantly more. In doing that, it excels in attention to the customer and rapid responses, which we personally experienced. We were simply delighted in doing business with you. I want to take this opportunity to thank you. I read about you several years ago in the Wall Street Journal. Given your accolades, I was eager to work with you with my next vehicle lease. I was hopeful that Authority Auto was as good as represented in the article. It was better. I was astonished with your level of personal service and with your eagerness to go above and beyond what was necessary to represent your client. After over twenty years of getting kicked in the financial teeth each time I visited a dealership, I now had the upper hand. I don't have enough words to thank your for all the hard work you did in finding my dream car. It took me all summer to go through many car dealers and a couple brokers to realized how hard it was going to be, to buy a car at a good price. As I was about to give up on the whole process. I found Edmunds and through him, Authority Auto. You found me the perfect car, at a great price. You made the whole process incredibly easy. I must tell you that at a highly stressful time of my life, you gave me much peace. My 87 year old mother who is very ill, seemed to come alive when I went to picked her up, in my brand new convertible camaro. YOU put a smile on her face and for a few hours took her chronic pain away, for that I'm deeply thankful. Tomorrow is my boy's 16th birthday and he will get to drive the car. You came thru for me. I really appreciate your professionalism. I deal with customers on a daily basis. Therefore, I know that your patience and understanding of your individual customer's needs is OUTSTANDING. I will not hesitate to recommend you highly to my customers as well as friends and family. Thank you and have a great day!!! As a physician, I lack the time, skills, desire, and patience to negotiate a good deal on a new car. Authority Auto has afforded me both convenience and peace of mind in finding the right vehicle and taking the pain out of the negotiating process. I was able to find good deals myself, but Authority Auto was able to both improve upon this and negotiate delivery of the truck to my house, with document signing done at my convenience at the kitchen table! Authority Auto exceeded my expectations. My experience with Authority Auto could not have been better. Oren listened to me re the type of car I was interested in, then organised for a really easy test drive experience all close to my home. He found me the exact car that I wanted, with all the specifications I asked for, and within my budget. It was very quick and easy. He also sold our old car immediately and for a good price. Having the car delivered to us, and the old car picked up in the same morning made our lives easy. Also when I had a warning light come up during the first week he organised for the car to be picked up and a loaner delivered to my house immediately. I found that level of after service very impressive, I have already recommended your service to about 5 of my colleagues !! I will definitely be returning to Oren when the lease runs out on our cars. Both my daughter Amanda and myself want to thank you for your prompt professional service in helping us secure a car for my daughter at a price I don't believe I could have duplicated on my own. I had previously heard about your company from a friend who was very complementary about the service you provide, and now I know first had he was right. Thank you again for your help. Kim got me such a great deal when I needed a new car two years ago that it was a no-brainer to use you again when my other car needed to be replaced. Thanks again to you and Kim for getting me a such great deal on purchase, trade-in and warranty. Even including your fees, I probably saved $1000 over the best deal I might have negotiated on my own--plus I didn't have to waste my time haggling with multiple dealerships. You provide a tremendous service that is a great value to people with little free time. Thanks for everything. I'll be talking to you again the next time I need a new car. I already have 2,000 miles on it and only have had to fill it 5 times! My life has been super crazy with my kids' schedule. Thank you for all your help! And I can't wait to buy my next car since it was so hassle free. Just a brief note to tell you how exceptionally pleased we are with your service. We could feel from the start that you were interested in our satisfaction. It was not easy to find the vehicle that we were looking for since it was so late in the model year but you came through and we are so grateful and happy. A million thanks and we have told all of our friends about your wonderful service. 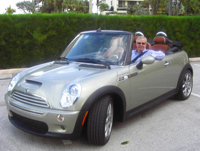 Dr. and Mrs. Robert F.
Reduced the time and stress of finding and negotiating for a vehicle. I could enjoy my personal time while they did the work, and when the vehicle was found and the deal was ready, all I had to do was show up and drive away. Very easy. I will definitely use it again in the future. "Authority Auto has found 3 great cars for my family at amazing prices. Oren Weintraub is a miracle worker!" Authority Auto helped me find a great truck, it's been a few months and I love every bit of it. The quality of the trucks I was looking at previously couldn't touch this beauty. They all had higher miles, and were more expensive even with my best negotiating. I found this company on Edmunds, and I am happy to say I'll never buy another car/truck on my own again. There is no better feeling than driving the truck I want knowing that I got it for a great price. I'm telling anybody who is looking for a car/truck to go with Authority Auto, they really take care of their customers. Thanks again, Authority Auto! Thanks so much! You made the whole experience very pleasurable and stress free. I'll recommend your services highly to my friends and colleagues. Hopefully I'll be contacting you at the end of the summer again for a car for my daughter. I needed to buy a car for my new college graduate. But I didn't have the time or inclination to visit numerous showrooms and negotiate endlessly with auto dealers. What a pleasure to work with Authority Auto! Kim provided helpful "inside" advice, took care of all the paperwork, and was "on call" if I needed help. He was extremely responsive and got me a good deal (photo attached). I'd recommend Kim and Authority Auto in an instant! The biggest benefits that I gained by using Authority Auto was time (from going to dealer to dealer) and the hassle of negotiating the price (which is the biggest reason that I went with Authority Auto). Thank you again fro your patience and understanding all the way through the process of getting my new BMW 535i. I really appreciate your professionalism and your focus on your customer's best interests. I am looking forward to doing more business together. Authority Auto gave me excellent service with wonderful follow up and a very satisfactory outcome. Oren and his staff knew their business and delivered for me. I do not haggle/negotiate and thus would never have gotten the deal Kim was able to negotiate for me. Plus, my interactions with the dealership staff were minimal - a huge bonus. We walked out of the dealership with zero buyer's remorse or the sense that we could have gotten a better deal. I know you guys did a great job because they seemed a little disoriented with what was going on. Nice job Kim!! Best price I could get with the least hassle possible. Perfect experience for me. As a mother who also works part time, I simply don't have an extra moment in my day to deal with car dealerships, salesmen, negotiating, etc. Because of this I had put off buying a new car for almost two years! If only I had known how easy Authority Auto would make it for me. The whole process took just three days; they saved me money; they saved me time; I didn't have to negotiate with anyone; and I got exactly the car I wanted. I will NEVER buy a car again without the assistance of Authority Auto. Saved me a heckuva lot of time...and I knew I got the best deal available. It was relatively effortless! And I got more for my other car than I could get on my own. And they made it fun and took all the pressure off. Thanks, Kim! It was easy to sign up and the whole transaction was completely painless. It was worth every penny not having to haggle with a car salesman. Great advocacy on my behalf. Minimal interactions with the dealer. I think Very Satisfied understated the selection I would have chose -- Exceeded Exceptions every step of the way! Would not get a car any other way!!! The entire process made getting a new car so much fun! Knowledge security, comfort and stress relief. Defintely coming back, your true concierge service is the best thing since slice bread as their are only typical brokers out there with divided loyalties. Also my advisor truly cared about my dilemma and that point was not missed. Very complete service! Authority Auto did everything they explained they would do. I will use Authority Auto again!! Your service saved me all the headaches from working with the dealer. I knew the ballpark price I thought was fair and Authority Auto got that price! Thank you for an excellent job!! Oren saved me an amazing amount of time and even more money. I have already referred several people - what an impressive operation! A sounding board, zero pressure, and useful advice throughout the entire process. Would recommend with enthusiasm to anyone. Thank you all for all your hard work. My compliments to Kim Haavet whom I put through the ringer to get exactly what I wanted. I wasn't sure if this type of service was worthwhile for me. I have purchased several cars on my own in the past and have generally done well with my purchases. However, for this car I just did not have the time to do all the planning and research that I needed to do. The thought of the whole buying process right now exasperated me but I had no choice because I needed a car right away so I went with Authority Auto. Had they not been recommended by Edmunds I am not sure I would have used the service. The whole process was pretty quick and smooth. The best part is I didn't have to talk to one single dealer and listen to dealer speeches or have dealers pester me with phone calls every other day. In fact, the car was delivered to my office so I didn't even have to see the dealer. No hidden cost. The price Kim quoted to me was what I paid. Its about as easy as it gets. When I consider the amount of time that I would have had to spend if I did this myself and very possibly paid a higher price, this is an invaluable service. I would rate the quality of service to be high. Kim was a professional throughout the process. Buying a car is an emotional process and when you are in the midst of a transaction you don't think of all the loose ends which can and probably will come back to bite you. Kim was my voice of reason. He made sure I was protected the entire time by giving me recommendations, reminding me to get photos of my car since I was trading it in and it was to be delivered to the dealer. Who knows what could have happened to it in route. He made sure I had all the correct paper work done. I was in communication with him from morning to night. He even responded to my emails late at night. He was totally on the ball. I am sure he had other clients but I never felt like he was representing anyone but me. This is what service should be like. There is no reason for me to wheel and deal with car dealers ever again. We loved working with authority auto. We got a great deal on our new car, they sold our old car and they were incredible to work with. Seriously, I hate car dealerships, and I love these guys. We made money by using them and it made our lives easier. It's a no lose situation. Highly highly recommend them. Oren and his team are the best - you will never find a car buying experience so smooth, so efficient, so easy. And they get the best price! I will never go through a car buying/selling process without using Oren and Authority Auto. Thank you! Working with Kim made the whole experience of purchasing a new car much easier. With work and other things going on I really didn’t have much time to look for a vehicle myself. The price he was able to get for my truck was much better than what I could have gotten. Kim took care of everything and having the truck delivered right to my home was just icing on the cake. Thank you. To anyone thinking about buying a car! My wife and I were referred to Authority Auto by some friends who are also satisfied clients. Once we knew what make and model car we wanted, we called Kim at Authority and he made the entire process smooth and painless. (When have you ever said that about buying a new car?) Above all, the two things I would say about dealing with Authority that impressed me most are; Kim's responsiveness and his knowledge of cars and the car market. Every time we emailed or called Kim got right back to us. He made us feel like we were his #1 priority. It was like shopping at Nordstrom or staying at the Four Seasons. Everything was handled over the phone and by email. Our brand new car was delivered to our house and our trade in was picked up and paid for. It was sooooo easy ! It will be our pleasure to recommend Authority to any of our friends who are looking for a car! I can count on one hand the number of times in my life in which I was compelled to write a thank you to a business for their services. That said, I was referred to Authority Auto by a friend and will admit that I was a little skeptical only because my friend was so confident in their ability to save me money. I reviewed this website, reading about their services as well as many testimonials and began to think maybe Authority Auto could save me some money. Well, after negotiating with four Cadillac dealerships over a few days, I was able to get what I thought was the lowest lease price on a new SRX. I then sent my quote to Oren and within a few hours, he was able to crush that price. The best feeling was when two of the dealerships called me back after I purchased it and were actually perplexed at how I got such a good deal. Oren and his staff were an absolute pleasure to deal with during the entire process. I now find myself smiling when referring my family and friends to Authority Auto because I can see the same look of skepticism that I initially had. I explain to them that I had that same look at one time ;-) Oren, thank you and your team for everything! Authority Auto delivers on its promise. I am an experienced car buyer and was able to find the 2011 Toyota Sienna minivan that I wanted at $1000 over invoice, which in the current market is bare bottom. The only hitch is that I'd have to wait 4 weeks for the car, as all the local dealers claimed that there was no car ready according to my specs anywhere in the southeastern US. As a lark, I decided to let Authority see if they could "Improve the Deal". Not only did they get me my exact car for $600 less, but they found one that was ready to go that same day not 30 minutes from where I live. So, apparently the local dealers weren't willing to admit to me that one of their local competitors had the car. That was a new twist that I'd never encountered before. But Authority figured it out for me, and saved me money on top of it. I therefore HIGHLY RECOMMEND Authority. I hate buying cars. It's stressful, and as hard as I try to come armed with information, as a consumer, I'm always at a disadvantage because you never really know how much profit is built in to the dealer's so-called "Awesome Deal!". I feel much better having an experienced CPA help me with tax planning because of their insight into the IRS . I wouldn't sign a business contract without the support and experience of a business attorney to make sure I'm making good decisions. Why should buying a car be any different? Next to your home, it's one of the most expensive purchases anyone ever makes. Finding someone with insider knowledge of car dealerships was invaluable. I thought I negotiated the best deal possible after reviewing invoices through Edmunds and checking inventory of dealerships within 500 miles of me. Even then, Andy at Authority Automotive was able to get me a much better price, and get accessories built into the better deal. Everyone should be the CEO of themselves, treating your personal life like a business. A good CEO hires smarter people in their field to advise them. Andy is my car buying genius and I will never buy another car again without his assistance. Oren and Authority Auto are amazing! The process of trading my old car for a new one wasn’t just easy—it was downright fun. Thank you!! After meeting oren and the staff at authority auto i don't know why anyone would ever waste one more moment of their precious time on this planet working out the best 'deal' on car lot after car lot. Thought there had to be more! This is my second purchase with authority auto and i cannot recommend them highly enough. I must confess two things, first I never used a service like this before and second I was filled with skepticism! "What can they do that I can't do myself?" I read the reviews on line at edmunds.com, did my research and followed the suggestions from Consumers Reports, Kelly Blue Book etc...I thought I was prepared, but after my first visit to the dealership I realized I really did not know what I was doing! The "song & dance" I got from the salesman made me understand I was out of my league. I felt I had a plan entering the dealership, make, model, options, accessories, color and of course price but there were many curve balls thrown and I new I needed help. It was an absolute pleasure working with Authority Auto. After talking with Andy on the phone I knew I could hire an advocate that would not just be in my corner but with me every step of the way. Every question and concern I had was completely explained to me by Andy, with everything in the arrangements occurring exactly as he told me. I felt as though he was sitting next to me in the dealership as I reviewed the final paperwork with the finance officer. My car not only arrived just as I ordered but it was on the dealership showroom floor, clean, shinny and completely ready to go! The car looked so good that the dealer wanted it in the showroom for other customers to see! Excellent, excellent service!! Every detail of my arrangements with Authority Auto work out to the letter! Thank you for the outstanding service! I just wanted to take a moment to let you know how much my husband and I enjoyed working with Andy. He was kind, patient, thorough and professional. I don't have to tell you how rare those characteristics are in the automobile industry. Before contacting Andy, we were considering not buying a new car because of how HORRIBLE the experience had been so far. Now, although it is still years away, I can't wait for my husband to be ready to trade in his car for another new vehicle just so that we can work with Andy again. We are now customers for life and will recommend Andy and Authority Auto to anyone we know who is in the market for a new vehicle. Hi. I would say that I had a really good experience with Auto Authority. I read about it on Edmonds and even though it initially seemed quite expensive for the service, I think we definitely got our money’s worth. Authority Auto was able to negotiate the price down almost $5000 from the dealer’s asking price, which we were very pleased with. In addition, Authority Auto was extremely responsive and was a great resource for all my questions. He ran interference with the dealer and I never had to speak with them once! Overall it was a very positive experience and I will definitely use the service again next time I buy a car. Thanks! I haven't bought a new car in over 10 years, and I never look forward to that process. I know how to negotiate with the dealers, but never enjoy doing so and am never quite sure if I could have done better. Nor am I motivated to talk with multiple dealers. Authority Auto handled all this for me. They found the perfect car I was looking for (a BMW Z4) at an aggressive price, and they helped me sell my current car at a very good price to boot. I definitely will use Authority Auto again the next time we need to buy a car. I would never dream of getting a new car or lease without consulting with Oren. He’s completely knowledgeable, helped me make decisions and negotiated an lower price than the already low price I had been offered – in part because he was known and respected by the dealership I leased my Prius from. Plus, I liked working with him because he’s positive, ethical and he cares. We wish to commend Mr. Jun Quinto. He recently had two newly minted Chevrolets delivered to our home in Mississippi! Jun is the consummate professional. He is exceptionally personable, honest, and gifted with patience, counseling skills, a sense of humor, and an innate ability to put the client at ease throughout the entire buying process. We were introduced to Authority Auto in the Smart Money magazine article. My wife and I dread the vehicle buying process so much that we defer buying until it becomes almost a necessity. Knowing that, I saved the magazine article for future reference. And "when the future arrived," we decided to give AA a try. Being 2,000 + miles away, I must admit that we had reservations. A major concern was logistics. Could a company in California really handle the process for clients in Mississippi? Jun lived up to and exceeded our wildest expectations. He sensed our insecurity early on and held our hands from beginning to end. He communicated via e-mail and telephone. In fact, he helped us decide exactly what we wanted to buy. 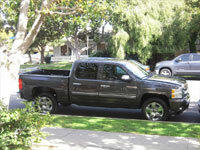 In our first conversation, I told Jun that we wanted to buy a Silverado crew cab truck. With extreme patience, he led us through the process of selecting options. Along the way, we decided to buy a Traverse! We can honestly say that ours was a totally pleasurable experience. It's the only way we'll ever buy another vehicle. Please believe that we are not engaging in hyperbole. We will be strong advocates for Authority Auto in our "neck of the woods." You, sir, have developed a unique marketing channel. And Jun has created two additional, exceptionally delighted clients to join what has to be a lengthy client list. Going beyond the business relationship, we know that over the course of several weeks, we have become friends. How many car buyers can say that about their experience with their salespersons? What can I say? You guys rock! Kim, you did me right! Thank you. Authority Auto exceeded all my expectations!! 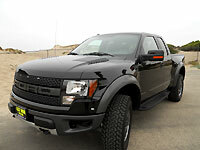 Not only were they able to get me a great deal on a 2010 Ford F-150 SVT RAPTOR 6.2L but they were also able to sell both of my used cars, practically over night, and for a great price as well. Plus, Oren and his team took all the leg work out of the deal, they secured a great financing rate, organized all the dealer documents and delivered the car to my front door. I can't imagine purchasing a car any other way! The money Authority Auto saved me on the new purchase and the higher than expected sale price for my used cars more than covered the cost of their exceptional service. I would like to start off by thanking you for the wonderful and exciting experience that my wife and I had in our meeting with you. From the first moment that we met in your office and through the follow up phone calls, I can’t say enough about how wonderful and warm you made us both feel. I have had countless experience throughout my years of dealing with individuals in the sales world, but few have met your standard of professionalism. Your attention to details, the care and concern that you demonstrated to us, goes without saying. The phone calls from you, alerting me of another and yet another pleasant surprise in our search for the perfect Kia Sorento for my wife added more confidence in that you would be able to fulfill our request. And to top off the adventure, you had the car delivered to our home allowing me the pleasure of surprising her even further. Andy, the look on her face and tears that rang out even made my dealings with you ever so more grateful. Mr. Weintraub, it was a pleasure having met you and thank you for having Andy attend to us. He is a great asset to your company. We want to thank you once again for the tremendous effort that you took upon yourself in making our car buying experience with you, unforgettable. Kim rocks! I found Authority Auto on Edmunds.com and they completely provided exactly what I needed. My wife and I just had our first baby and we simply didn't have the time to research and shop for cars. Kim persuaded me that buying new made more sense than a used car in my case, an option I hadn't previously entertained. That alone probably saved me a couple thousand dollars in the long run. On top of that, he got me a fantastic price on my car and secured a better interest rate than I was able to get on my own. I haven't purchased a car from a dealer in about 16 years and I certainly wasn't looking forward to the experience. It was such a relief to walk into the dealership knowing everything had already been taken care of. Kim didn't just find me a car, he listened and understood what I needed, delivered it and followed through during and after the sale. I'll definitely use Authority Auto for our next purchase. The folks at Authority Auto are top-notch. They say what they do, then... They do what they say. Recommend highly. We love our new car. 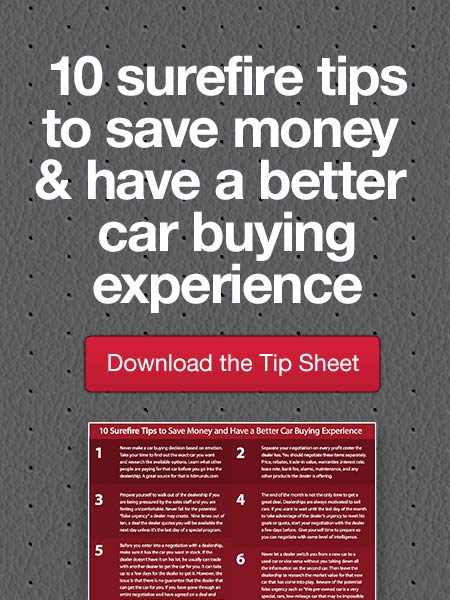 Thanks again…buying new cars has never been easier. I keep trying to recommend your service everywhere I go…you should create a Facebook page and have people become "fans". One word: UNBELIEVABLE!!! My initial search was for a 2009 model used car. Kim made every effort to locate and secure the vehicle. He kept me posted throughout the search. Kim called me after 3 days and explained he had located a vehicle but that the car dealer would not move on the price and then he began to enlightened me of the whole used car buying process. Kim then advised me about purchasing a new vehicle...I could get a new vehicle at the same price as the used vehicle. A no-brainer. Kim called the following day and asked, "Are you ready to ride?" He directed me to the local dealer. I test drove the car, the nice salesman tutored me on all the bells and whistles, I signed the paper work and I was out. Incredible. When I walked into the dealership, I could see the salesmen converge on me as if I were shark bait but Kim had provided my cloak of safety. Not only did I get the exact vehicle I wanted (color, options), I got it for $10,000.00 less than the MSRP. Unfortunately, we live in a culture that requires law enforcement. In the auto industry, we require Authority Auto Car Buying. I have always considered myself a shrewd negotiatior and very skilled at working my own car deals but Authority Auto has changed the way I will forever negotiate a car deal. I called Authority Auto initially to assist with the sale of my current car and Kim substantially improved a good offer in 2 hrs! 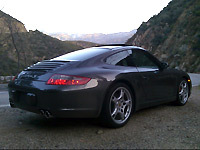 Kim then negotiated my first Carrera S and got me the car for $50750 down from $57999 the original asking price. Simply outstanding service and attention to detail. Cannot say enough good things about this company. I just wanted to take a moment to let you know what a pleasure it has been working with Authority Auto. Authority Auto couldn't have been more accommodating. They must have contacted at least 14 dealer's, as well as Nissan themselves to procure & track down my exact color coordinates for the truck I was purchasing. Authority Auto even sniffed out the Port Doc's to find out who & when my exact color combo was being delivered. Authority Auto left no stone unturned in his unrelenting quest to track down my exact dream truck! Needless to say, Authority Auto’s inside information, their golden Rolodex and plethora of auto contacts, cut right through to locate and negotiate my desired vehicle. Most importantly, Authority Auto’s representative proved time and time again that he not only had the relationships in place to ensure our mutual success, but the innate ability to dialogue successfully with anyone, anywhere and at any time. From the new Nissan Dealers in LA to the more remote Nissan Dealer in Moline, IL, Authority Auto’s Specialist represented my best interests in ways that few Executives could. His attitude, follow-through and sense of focus and passion for his vocation came through every time. I could not be more happy and needless to say, I wish I had known about Authority Auto or for that matter wish that your unconditional service were around 10 or even 20 year's ago. Anyone who values their time and considers their time as being synonymous with money would be foolish not to hire Authority Auto. Not only have I begun to recommend your service to friends & family, you can rest assured that I will only purchase future cars, trucks & fleets through your company. Finally, my last comment: I'm jealous that I did not think of the concept first! Thank you for providing me with a stellar experience, a rare comment associated with traditional auto purchasing. Oren was recommended to me by a colleague at work. I was told that he could save me some money and take the hassle out of the entire car leasing experience. He not only exceeded my expectations, but he brought me a deal that could not be beat! I saved thousands of dollars and spent less than an hour in the dealership signing documents and taking delivery of my new car. I’ll never buy or lease another car without his services! This letter shall serve as a testimonial on behalf of my wife and I for the exceptional service provided to our family by Authority Auto and most notably, the hands on, informative, and incessant attention and dialogue afforded by its principal and founder, Mr. Oren Weintraub, throughout. My wife and I started with the notion of purchasing a preowned vehicle and after thorough research and propsective purchases brought to our attention, we steered our focus to a completely different vehicle. Authority Auto transitioned its focus and attention with ease and gratitude by characterizing the request as "part of the process and service". The service provided saved us a tremendous amount of time and research. We ultimately ended up with our vehicle of choice and the negotiated price was within the comfort of our budget. The fee for the services provided was well absorded by the deal negotiated. Upon presentation for the pick up of the vehicle, I was astounded by the fact that all of the paperwork was completed and merely required my brief review and execution. Of course, I was well informed in advance of the deal points negotiated by Mr. Weintraub. The transaction was not painstaking and merely required signatures and tender of payment. What ease and joy! Truly. My wife and I feel we were and continue to be in the trusted and capable hands of an experienced source, with Authority Auto. All the best and thank you. Not that there was ever any doubt in my mind but I knew I got the best possible deal when the salesman at the dealership told me that I got the car for a price cheaper than what he could get it for. Authority Auto has made a client for life! I will (and have already) recommended them to everyone! THANK YOU! Thanks again for your diligent work. As you know this was my second pre-owned car purchase through Authority in less than a year. The level of service and professionalism that you consistently exhibit is unusual, in the best sense of that term, in the automotive sales business. My only regret is that I didn’t find your service years ago. In my opinion, Authority Auto is the only way to buy a car. i had bought my last two cars through a car buying service with great results. unfortunately that company was unable to assist me in my recent search for an Infiniti FX-50. i did some research and determined that Authority Auto had some good feedback from sources that I trust, (e.g., Edmunds.com, etc). the search for the car took a while, due to there being a limited number of cars available with the options i wanted. my rep at authority auto worked tirelessly to find the right car. even going as far as contacting the manfucturer to understand future shipments. once we found the car, the transaction was done in less than a day. i picked the car up the next day. my authority rep negoitated a price under dealer invoice and got me a very competitive financing rate. the whole experience was great. i literally spent just over 1 hour at the dealer. my rep was in constant contact with me throughout the process even while i was at the dealer and several days after the transaction. i highly recommend authority for anyone buying a used car. they are competent, professional, and get results. I would definitely engage them again in the future. Oren Weintraub was a pleasure to work with, and I plan to work with him again on my next car purchase. He came to me highly recommended from several friends. Basically, working with a car expert gave me a strong sense of confidence in buying my used car. I am a discerning and diligent buyer of anything, and I feel comfortable negotiating deals by myself, but I am a busy guy, so having Oren do most of the legwork, research, negotiation, and arranging inspection was very valuable for me. Also, I always felt like I had his full attention on the phone and via email, and I am not an easy customer in this regard. He was always very responsive. Definitely recommend Authority Auto. We couldn't be more pleased with the service we got from Authority Auto. We were able to get the car we wanted without some extras the dealer adds (he made them take them off) and the perk of having the car delivered and avoiding the dreaded finance office was in itself worth the price. They also got us more for our trade in than we ever would have gotten on our own. We have purchased many cars thru the years and I can honestly say this is the first time I feel we got a fair deal and didn't end up just giving our trade in away. They also answered my questions promptly and made me feel like I was their only client at the time, and I'm sure that wasn't the case. I was very satisfied with the help I received from Authority Auto, and from Kim. I had visited a few dealerships and done some websearching, but found the process unpleasant and time consuming. Then we learned our family dog of 17 years was dying, and I really wanted to spend my time helping her and my daughters through this. I spoke with 2 other car buying brokers, but they seemed far too much like the carsalesmen themselves, very superficial, hard to pin down, and using pressure sales tactics themselves. I called Authority Auto, and it was a match. Kim was informative and open. He helped me get the truck I needed with a minimum of time spend at the dealership, and with his support while I was there. Pretty died friday, at home in my daughters arms. Having Authority Auto take over much of the "gruntwork" of car buying was well worth it to me, and I hope to use them again. I researched this company for a while and the effort paid off. I received great service and more importantly a no hassle and no haggle experience in buying a new car. I did not have to see, listen or talk to a car salesman at all. Kim from Authority Auto took care of the whole transaction. I chose color and specs on the phone with Kim and I got my new car delivered to my house like a pepperoni pizza. I new I got the best deal ever on a new Toyota Camry. Authority Auto has the know-how on how to get the absolute lowest price on a car. I am going to recommend them to my friends and relatives who are thinking of buying a car. Thanks guys. My wife and I needed to replace her 2001 BMW 330i with an SUV to accommodate our new little bundle of joy. We decided on a 2007 Toyota Highlander Hybrid. We had negotiated a deal and then I remembered reading about Authority Auto on Edmunds.com and decided to try your "Improve your deal" services. They were extremely easy to talk with and very willing to help. Their first assessment as we spoke on the phone was that I had found a really good deal. But after a few minutes it became obvious that they found opportunities to save even more money. Ultimately, they secured an additional $1300.00 in savings from my deal. What would have taken me a few days to get negotiated, Authority Auto completed in under 30 minutes. I learned some valuable lessons from the experience. One was that the next car I buy I'll just call you guys first and save myself a ton of time and trouble. The other lesson was that not only do you save your customers' money, but you give excellent advice and guidance throughout the process. It was a pleasure working with you and definitely look forward to working with you on our next purchase. Authority Auto gets it. They are responsive and easy to deal with. They found the exact car I wanted at a tremendous discount. I felt like I was in charge and not subjected to the salesman yoyo routine with some “sales manager” behind a closed door. After the buy decision was made Authority Auto stayed in constant contact until the car was delivered to my door. Absolutely no buyer's remorse on this deal. I just wanted to let you know that Oren did a fantastic job in acquiring my new vehicle after the previous dealership gave me the run around and even tried taking advantage of me (which is now remedied). I received the car by truck and Oren never once shifted responsibility nor dropped my concerns! I am speechless. I wish I would have just used Authority Auto from the get-go. Anyhow, I'm loving my new Infiniti and the financing plan Oren worked out along with getting custom splash guards and all-season mats set up on the car made it really convenient (I've since tinted the windows and added a clear-bra btw). I couldn't ask for a better car buying experience. Thanks once again Oren, keep doing what you're doing for us! Will get in touch with you next time for sure. I am CRAZY about my new purchase with Authority Auto!!!!! Last Friday a rare, beautiful, 2008 green Mazda MX-5 Miata arrived in my Seattle driveway after its cross-country trip from Nashville where your excellent associate, Kim, found the vehicle. Telling Kim that I wanted a 2008 green Miata with six speed MT and black interior - and nothing else - we agreed that it might be like finding the proverbial needle in a haystack since Mazda stopped producing the green ones. Making the challenge more difficult, there are hardly any Miatas on the road with my specs request. After about five weeks of searching, Kim found my green six speed "needle" - on my birthday no less! Furthermore, the deal he negotiated and the car he found are truly exceptional. The 2008 Miata has only 3,400 miles and is still under warranty. Equally amazing, Kim finalized a price that is $6,000 below Kelly Bluebook retail. Heck, even with Authority Auto's fee and the shipping fee included, the Miata is priced below Kelly Bluebook WHOLESALE. Kim basically found me a 2009 car at a 2006 price. Always taking calls immediately, Kim answered all my questions and took care of every single detail of the much dreaded car buying experience. I cannot possibly recommend his skill and professionalism enough to justify the deal he located for me. Your staff also displayed customer service as wonderful as Kim's. Authority Auto does an outstanding job Oren. People purchasing a car would be foolish not to call your company and have Kim not only do all the work but save them a bundle of money in the process. Last week, I leased a new car with the help of Oren Weintraub, of Authority Auto. I found his professionalism and experience to be exactly what I needed when considering a new car. I was confused about exactly what I wanted, but with his guidance, I was able to make a fabulous choice that is perfect for me. Oren, you handled everything, flawlessly! I appreciated the benefit of your knowledge and professionalism when assisting me in the selection of the, the make, model and even options of my new vehicle. You helped me acquire the perfect automobile for me at a price I never would have been able to negotiate on my own. I've never purchased a car with the assistance of a broker before. Now, I know that I will never do it any other way! Everything went smoothly and quickly, without as much as a moment's stress or anxiety. Not only was the purchase simple, my new vehicle was delivered to my door and my old car was driven away, with a generous trade-in price. My new Lexus RX350 is a car, that until now, I had only dreamed of owning. Thanks to you, Oren, it has become a reality. I have a new car that I love, at an incomparable price. Thank you for everything. I will return to your firm when I am ready for my next purchase. I would like to state that the people at Authority Auto were very professional throughout the transaction. They listened to my needs and got me the car I wanted within four days. The best part of dealing with Authority Auto is that I did not have to haggle with a salesperson in a dealership. The people at Authority Auto really know the inside of the car business. They relieve you of the stress and headaches in purchasing a vehicle. It was not money wasted, it was money well spent! I appreciate all the help. The car is better than I thought. It was quick and easy. Thanks for handling everything and getting me the car that I wanted. Also, Gabe from Longo explained all the electronics and other features patiently. He was a pleasure. Working with Kim Havaat was an easy pleasant process. I should have started with Authority Auto instead of wasting time going to several dealers myself. I got the run around and several bad prices. I wanted a special combination of colors and features and Kim got a great price. When my new Audi arrived it was actually $70 less than I expected. Thanks Kim, for your great work. Oren Weintraub got a great deal on my new car that far exceeded my expectations and most certainly, my own negotiating ability. He also created a process that included dignity and integrity which came as a tremendous relief after very unpleasant haggling forced by the dealer. It may seem unconventional at first to purchase a car through a third party, and may require some to take a leap of faith, but believe, me, it was well worth it!! Orren saved me a very substantial sum of money and eliminated the stress of negotiating on my own. Thank you Oren. I am grateful that a friend told me about your firm. While I enjoy shopping for most other things, shopping and securing a car is a process that I loathe. The services of Authority Auto were worth every penny paid. It was a pleasurable process (thank your Oren for your upbeat, enjoyable interaction including even a group Happy Birthday tune on my birthday). The services were appreciated out the gate with important information on available product in the market place. Walking into a showroom with a scheduled appointment to test drive a brand was even easy....no discussions about money, no pressure about buying a car that day, nothing but customer service and information. There is no way I could have secured my first choice car for the payments and terms that you found for me. I would not have had the time or the expertise to accomplish anything close to the final terms of my lease. I can recommend the services of Authority Auto with absolutely no reservations, and will do so. Again I wanted to tell you how pleased I was with the services provided. As you know, it just took all the worry out of making the deal myself and made the actual face to face at the dealer when making the purchase a relatively pleasant experience. It felt good to be able to tell the salesman I would have to let Authority Auto look over the proposal in much the same manner as the salesman has to let his manager look over the offer..Fighting fire with fire so to speak..Anyway it was well worth the fee to know I got the best deal available and I will not hesitate to recommend Authority Auto to my friends. This is the second vehicle I have purchased through your service in the last twelve months. I have found you to be very reliable and able to deliver a vehicle substantially below what I could negotiate directly. I look forward to additional purchases later this year. This is my second car purchased through Authority Auto and I can honestly say doing it any other way just does not make sense. You simply cannot get a better deal nor a more hassle free experience than when dealing with Authority Auto. I purchased a 2009 Mercedes 550SL and my final price was over twenty seven thousand dollars off sticker and they had it delivered to my house. I am a customer for life. Thanks Oren-- you guys ROCK! We got our 2010 CR-V today and are very happy! We made the right decision of going to Authority Auto. You save us a lot of time and money! We will definitely recommend your services to our family and friends. Your customer service is excellent. Thank you so much for all your help! Till our next car purchase. I would like to let you and your staffs know how much I appreciate your help in finding my new car recently. After my car accident I was already frustrated with the fact that I was hit and to think about having to find another car to go to and from work as soon as possible was something I didn't want to have to deal with. After your help last year in finding a reliable car at a great price, I didn't hesitate to ask for your help again this time. Both times, your services were quick, reliable as well as responsible. I love the fact that you took care of finding me the best deal in town and continue to negotiate for a better price and warrantee for me. I also appreciate your responsibleness in looking over my contract afterwards and provide me with advice. Thank you very much for your help and I will not hesitate to recommend you to my friends and family. This is the third car Authority Auto got for me. It's rather obvious that I am very satisfied with the job they did otherwise I wouldn't come back to Authority Auto again and again. In fact I think this time they outdid themselves. I got a 2010 Lexus ES-350 for a better deal than Authority Auto got for me on the 2007 Lexus IS-250. And of course I didn't have to go anywhere - the car was delivered to my house. When my wife saw how well Authority Auto did for me she decided, within days, to get a new Lexus RX-350. Not only did she get a great deal too, but Authority Auto arranged for the sale of the 2003 Lexus RX-300 for an almost unbelievable price. There is no way we'll ever get another car without Authority Auto's assistance! There is nothing more unsettling for a rather overconfident woman than to receive a call from Oren informing her that he got a further reduction of 25% on her down payment and another saving of $20/month on her lease payment! I was told by the manager that there was nothing left on the table and I gullibly believed it! Thank you for helping me with my third car! Your thoughtfulness and follow up care did not end with that call; I was very touched to receive an email from you today inquiring about my new car, just as I was pulling out in my new wheels. Working with Oren, when purchasing my BMW 7 series, was easy and stress free! He was able to get me a deal that topped any of the 3 dealers I visited - and that included his service fee. My car was delivered to my door, in pristine condition along with lessons on how to operate all the bells and whistles. I could not be happier. Oren thanks for the service. Authority Auto is like having a friend in the business. I really appreciated improve your deal service. I cut what I thought was the best deal on the best car. You were able to save me a little money but more importantly you were able to make me feel confident in my $30,000.00 decision. You were able to help me make my deadline of surprising my wife at the curb of the airport with her new/used Audi A6. She was beyond surprised. Thanks again. Working with Oren at Authority Auto to buy a used car was a pleasure. In just two days I purchased a 2004 PT Cruiser with low mileage at an excellent price negotiated by Oren. Oren took care of all the details and was always available by phone if I had any questions. I would strongly recommend this service for anyone who is in the market for a used car. Oren's service was immediate, accurate and successful. We are thrilled with the purchase of our new Audi A4. I hit a double and you guy's came in and hit a home run. You were still able to significantly "best" my deal after I grinded them down for days. Oren is just a pleasure to work with! He and the folks at Authority Auto make a very complex process become a breeze! They beat every price I negotiated and then some. I wouldn't go visit another dealer other than to test drive their cars. Once you know what you want, call Oren! After enduring a horrible car-buying experience (where the car we were in the process of buying was sold out from under us—at a dealership) we decided we were done dealing with that process on our own. That's when we came across Authority Auto. After talking with Oren, we became immediately comforted with his first-hand knowledge of the car-industry and that we were going to be taken care of—not taken advantage of. SInce we had already found a car we liked, a Certified 2007 Lexus RX350, we took advantage of their Improve your Deal service. After leaving the dealer with their "rock-bottom" price in hand, we called Authority Auto. Oren made a call to the dealer and negotiated an extra $1,000 off the price. In addition, he researched comparable cars with similar options and gave us the piece of mind that we were indeed getting a good deal for that particular car. And, he was available to us throughout the whole paperwork process in case we needed any assistance. I'm happy to say that I will no longer have to go through the car-buying ordeal alone again. I highly recommend Authority Auto without any reservations and will definitely be using them for my next car purchase. I am super happy! The only thing better than my dream ride is the dream deal Kim made in buying it. We heard about Authority Auto on the Dennis Prager show. We were looking for a RAV 4, found the one we wanted, got what we thought was an “OK” deal. We contacted Authority Auto and let them do their thing. Between the price of the car and the trade-in, they save us over $2700. We highly recommend them to anyone shopping for a new car. I have had the pleasure of working with Authority Auto for my last four (4) car purchases, three of them new and one used. After this experience I would never even attempt to buy a car without their help and guidance. The experience was remarkable for its efficiency, thoroughness and success. I recommend their service to everyone without reservation. Because of the truly efficient service and attention from the Authority Auto people, I have already recommended them to a good friend. From the first phone call to the delivering of my new car it was a pleasure to work with them. It was an excellent experience and would recommend them to anybody. Were it not for Authority Auto and Serge, our agent, we'd still be wasting time in various local dealerships. Instead, we completed purchase in record time and, for once, paid a very good price for a popular and fairly scarce car. Before Authority Auto, we wasted hours at our former dealer with no results, and knew it was time for a different and more rational approach. After Authority Auto, we completed purchase, including verifying negotiated figures, finalizing trade price (as planned, since our trade had not been physically examined) and driving off the lot. It's hard to imagine why anyone would not take advantage of this service. We even identified the "better" and "worse" local dealerships in the process. Thanks so much for pioneering a saner approach to vehicle purchase that levels the playing field. Authority Auto fulfilled every promise for exceptional service and made the process of finding and buying a car effortless. I couldn't have asked for a better experience. Their professionalism, dedication, and skill landed me the exact build I wanted with the dealer I wanted to work with at a stunningly good price. This was a win-win arrangement that I will never go without. I had the pleasure of dealing with Authority Auto several weeks ago when my wife and I purchased a 2009 Honda Pilot Touring with DVD and RES in Bali Blue Pearl, the EXACT car that she wanted. Shortly thereafter, we began the search for a late model Chevy Tahoe, certified pre-owned, with DVD and RES. Once again, I sent Authority Auto on the search and rescue mission, and sure enough, they delivered. They found a 2007 Chevy Tahoe in Orange County, CA that met all of my needs and wants. As the dealership was about 90 minutes from my house, they coordinated having the vehicle brought to a half-way point for an inspection and test drive. I met the salesperson at the Hollywood Park and Casino parking lot, where I was blown away by the vehicle. It was everything that we were looking for and more. It only had 14,500 miles on it, and was in great shape. Authority Auto helped negotiate a good deal with the dealership, as well as coordinate the sale and pickup of my 2003 Ford Expedition to his wholesaler. My wife and I are exceptionally pleased with the two vehicles that Authority Auto helped us find and purchase. We got exactly what we were looking for, and have already (and will continue) to recommend Authority Auto to our friends and family. My wife and I are exceptionally pleased with the service we received from Authority Auto. They assisted us in locating the exact car that my wife had wanted. We had searched the local dealerships, gone in for a test drive, and knew exactly what we wanted. We received internet quotes from (dealer name removed) and they quoted us a price, but after multiple emails requesting confirmation that the EXACT vehicle that we wanted was immediately available (before we drove 80 miles to their dealership), they never responded. The three dealerships that we went to all told us that the Bali Blue Pearl 2009 Honda Pilot Touring edition with DVD and Navigation was unavailable, and we would have to either switch colors, switch options, or wait for the 2010 models. I found Authority Auto online. Within a couple of days they had located the vehicle in the Northern California town of Concord, and worked a great deal for about $5,000 less than we would have gotten on our own. They also negotiated a great price for our trade in. The dealership brought the new car to our driveway, we signed all of the paperwork in our kitchen, and the dealership representative drove our trade in away. It was truly the best car buying experience we have ever had. We are so pleased, that we are now having them find a vehicle for me! I highly recommend Authority Auto for all new car purchases. You cannot beat the price, the service, or the relief that comes from never having to deal with the normal headaches and hassle of the car buying experience. Recently, I hoped to purchase a special vehicle (Hybrid with HOV sticker) for my daughter who lives in LA. I live in Colorado. It seemed a difficult task. I could not afford the time or effort to work with my daughter to purchase this car. In doing some research on the internet, I found your organization came highly recommended. It even said while it seemed to be too good to be true, it was exactly what it seemed. After going through the process with one of your agents, I am extremely pleased to say how happy my daughter and I were with the experience. You said everything would go extremely smoothly and it did. You made all the negotiations to the best price for both our purchase and the trade in and coached my daughter during the actual purchase. The money I paid your organization was easily made up by the savings you were able to negotiate and by the time I saved. We are extremely happy with the experience and will most likely use your organization again at our next auto purchase. Thanks again for the extremely friendly, productive and smoothly run service for our purchase. I wanted to provide a testimonial on the quality service I received from Kim Haavet at Authority Auto: I recently left my former employer to pursue a business opportunity that I could not pass up. In the process of accepting the new role, I had to relinquish my company car which meant that I would be without a vehicle to begin my new career. Due to the fact that my new company is in it's early stages, there is more work to do than I can possibly keep up with and consequently, the last thing I needed to be doing was haggling for a vehicle. I had heard about Authority Auto on KRLA 870 AM Talk Radio and knew that I needed to give their service a try. Kim was able to get me pricing on two different vehicles while I focused on my work. He was prompt in getting pricing to me and very patient with my various questions. Once I decided on the exact vehicle I wanted, Kim helped me with various pricing options by providing both a great purchase price as well as a very competitive lease price. My wife and I decided to purchase the vehicle late on Friday afternoon. My new vehicle was delivered directly to my home on the following Tuesday afternoon. No showroom sales pressure, no finance manager warranty gimmicks, no costly add-ons that I did not request, just the vehicle I wanted at a fantastic price. What more could you ask for. I plan on referring everyone I know to Authority Auto, the experience was that good. I wanted to take a moment to thank Authority Auto for the great experience I had in using your services. This was the 1st time I ever had a good experience in purchasing a car. I was especially impressed at the amount of time Kim took to answer all of my questions (and I had a lot!). I have to admit that I was skeptical of anything having to do with the car buying process, but Authority Auto exceeded all of my expectations! The best part for me was not having to deal with all of the games at the dealerships and waste time driving around the city to try and negotiate the best deal. On top of that, I got an outstanding price on my new car. I walked into the dealership, test drove the new car, signed a few papers and was gone. I rolled my eyes when I saw a “Closer” going to work on a couple who was negotiating a deal and was thankful that Authority Auto handled everything for me. I have already referred a family member who used Authority Auto and I will NEVER purchase a vehicle again without using your service. I've needed a new car for a while now, but I've been hesitant to get one mostly because I don't enjoy the back and forth negotiations that go on when trying to purchase a vehicle at a fair price. That all changed when I first heard about Authority Auto on the radio. And then I learned about the fantastic incentives Mazda was offering on a vehicle I was interested in. I was back in the hunt! We had my consultation last Friday. You located my vehicle on Tuesday. And this Friday I'm the very proud owner of a new MAZDA3. I was under a time constraint in order to take advantage of the financial offers, and your quick response to my request is greatly appreciated. Not to mention the great deal you were able to get on the exact configuration I was looking for. You also readily addressed any concerns I had. And once the deal was made, taking care of the transaction at the dealership was very smooth and hassle-free. I also like how you followed up to make sure things went well. It's been a first-class experience all the way! I will definitely be talking with you and Authority Auto the next time I'm in the market -- which will most likely be sooner rather than later thanks to an awesome transaction. Thanks again for all your help. I wanted to thank you again for your help in finding us a great new 2008 Toyota Highlander at a great price. I have already highly recommended your service to my friends, family and co-workers. When our family car, a 2001 Subaru Outback, suddenly and unexpectedly died, I called and told Kim that I needed a car within a day. He said he'd call me within 3 hours, and sure enough, within that time he had negotiated a great price on a perfect car within 30 miles, and had even managed to get a good price for my nearly undriveable trade-in. All that, and I had no wasted time or aggravation haggling with a salesman. Even including your fee, I still saved money by getting much better prices on the purchase, trade-in and extended warranty than I would have been able to negotiate on my own. Using your service is a no-brainer. I wish you all the best and continued success. I only had 3 days to buy a car and felt very overwhelmed. The thought of trying to negotiate a fair price for a car made me anxious. My father told me about Authority Auto since he had recently used their services when helping my brother buy his new car. Once I had decided on which car I wanted I called Authority Auto with the information they needed for the car and gave them the dealership number. Within a few hours he called me back with a final price and monthly payment amount. I could not believe how easy it was. I not only saved a lot of time but Authority Auto saved me about $2,500.00 as well. All I had to do was drive to the dealership, sign the purchase and sale and was able to drive my new Acura TSX home that same day. Thanks Authority Auto for making my new car purchase an enjoyable and stress free experience. It was a pleasure working with Authority Auto from beginning to end. I had already done some of the shopping myself in Colorado. Yet I didn't know whether I could get the same deal in California, where the purchase would be much more convenient for me. Like many women, I'm a busy parent and professional, so convenience really mattered. Not only did Authority Auto save me over $1,400.00 above his fee, but the car was delivered to my door! No haggling, and no surprises. It was so much fun, I wish I didn't have to wait another few years to buy a new car! While visiting the "edmunds.com" site and doing my research on car buying, I read an article titled "Should You Use a Car-Buying Concierge?". After reading the article and the customer testamonials, I was convinced this was the way to go. No slogging from dealer to dealer, haggling, negotiating, and all the other unpleasant things that go along with purchasing a new car. I put in a call to Authority Auto Car Buying Specialists and never looked back. I got exactly the car I wanted, saved some money, and had the car (accompanied by a full explanation on use & maitenance) and the papers delivered to my door! A fantastic experience all around. If you dislike haggling as much as I do, you'll truly enjoy and benefit from what Authority Auto does. They got me the car I wanted for far less than I ever expected. A painless process. Highly recommended. Authority Auto rocks! You saved me several thousand dollars on my new car, but more importantly you made the experience vastly different than my last car purchase. Gone was the waiting in the cubicle for the sales manager to come to give his high pressure spiel, the endless BS about how I should be grateful and trust him to give me the best deal, and how I had to buy today or he couldn't give me a price, etc. Instead, I got a highly professional team who were attentive to my needs, my questions, and had my interest as their number one priority. I felt taken care of from start to finish. Above all I really appreciated your responsiveness. Calls to you and Serge were returned often within minutes, you were always available - even on weekends and off-times, and you kept me in the loop regarding every twist and turn of negotiations with not one but several dealerships. We eventually came in with a deal that was exactly what I wanted. I couldn't be more pleased. Car buying is an onerous task, but using your car-buying service makes it almost easy. I just told you what I wanted, you found the car, negotiated a good price, and I picked it up! All done! No weasely, slimey car salesman to deal with, no wasted time while they "go talk to the manager", no bait and switch, no sudden added costs at the end of the negotiation, no feeling that I was being taken for a sucker. I would not hesitate to recommend Authority Auto to my family and friends and I have done so. I look forward to using your service again. Oren, what a pleasant experience!! When I realized I needed to purchase a car for my use in Florida, from my home in Colorado, over the Christmas Holidays, I felt I was facing a seemingly daunting task. Especially since I was looking for a popular model, the Mini Cooper S Convertible, with many features. I was dubious at best that you could assist me when I first called. However, from the very beginning, you were professional, positive, up-front with your fees and informative about my chances. It was a very nice surprise to get your call indicating you found the right car and at a price that was significantly less than I expected. And, subsequently, all aspects of the transaction, which you assisted with each one along the way, went quickly and smoothly. This buying experience could not have been more satisfying or enjoyable. Thanks for all of your help. It was a pleasure doing business with you all. Here's a testimonial and picture, feel free to use for promotion of your excellent service. I've been in Afghanistan for a few years now and wanted to buy my wife a new car to show my appreciation for her support and sacrifice. Question was how to go about getting the best deal and be able to pick it up quickly during my next R&R. While searching for information on the new car of her choice I ran across an article about Authority Auto. Sounded too good to be true, someone would work for me to find the car my wife wanted and negotiate everything to ensure I get the best deal. I gave Authority Auto a call while still in Afghanistan and within minutes they were on the job. In a couple of days I called back and Authority Auto had a range of choices and deals for me. We discussed them all, looked at the dealers web sites together and chose the car my wife wanted. Authority Auto called the dealer and negotiated a price at just below invoice and got me $1,000 more on my trade-in than anyone else was offering. A week later I returned to the US, went to the showroom and within an hour drove away in a great car at a great price. Authority Auto was with me all along and followed-up with the dealer to make sure everything was taken care of to my satisfaction. I bought my last car from the dealership my brother worked at and got the car at $200 over invoice, sorry bro, I'm buying through Authority Auto from now on. Car buying can't get any easier. All my buddies in Afghanistan who are planning on buying a car will be using Authority Auto too. Thanks Authority Auto from both my wife and me! My experience with Authority Auto Car Buying Service was fantastic from start to finish. I didn't want to spend any time haggling with dealers, trying to hunt down cars and get offers from several places, so I put my feet up and let Oren do all the work. That was the smartest decision about cars that I've made in a long time. He found me the perfect car - the sticker price was $5,000 more expensive than my previous car, but remarkably, the lease I got was only $20 more per month - plus that included 15K miles per year instead of 12K! The car was delivered to me at my office, and it took less than 10 minutes to handle the paperwork. The salesman who delivered the car made a special point of telling me how much he enjoyed working with Oren, as compared to the other brokers he'd dealt with in the past. It's great to do business with a solid, ethical company that not only makes a good deal for me, but treats everyone they interact with in the same manner. This is the second time I've used Authority Auto and my experience this time around was just as fantastic as the first. I was able to inquire about five or six different cars I was interested in, have Authority Auto do all the legwork to find out the bottom line price on each one, and then make my decision based on the information they gave me. To have done all of that myself would have taken a trip to each dealership followed by a protracted, and likely frustrating, negotiation with pushy salesmen and, of course, their even-pushier managers. When you buy with Authority Auto, you never have that fear that you could have gotten a better deal, nor do you leave the dealership with that bitter, post-negotiation taste in your mouth that tends to sour both your purchase, and how you feel about your new car going forward. Instead, Authority Auto takes care of everything, from the financing paperwork to the final purchase or lease documents, they make sure there are never any surprises, ever. All you do is show up at the dealership, receive a warm reception from the sales staff, sign your documents, and drive off happy. Authority Autois worth every penny and then some. I'll never buy a car without them again. I have to say the best thing about Authority Autois their staff. From the first minute I felt completely comfortable dealing with them. They were 100% upfront and honest right off the bat about my situation and what we could do to remedy it. The convenience and efficiency in which the company operates is just the icing on the cake. After schlepping all up and down Keyes on Van Nuys 2 weekends in a row, I handed over my problem (my old car) and within 3 days I was driving a new one, at a price a few thousand dollars less than what I had been initially hoping to pay. I would absolutely recommend this service to anyone and have already to everyone that has asked me about my new car. As a female, not having to deal with the dealerships was a huge relief. I also felt comfortable asking any and all questions no matter how "stupid" they would seem to a car expert. Every last detail was handled with speed and care. Nothing went unnoticed by Oren and everything was done to make my life as easy as possible; so that I might actually ENJOY the experience of getting a new car rather than feel like throwing up. Thanks guys for all your help! I meant every word of that! Authority Auto saved me more money than I thought was humanly possible (let alone the emotional expense of having to hassle with car dealers). When combined with their first class service, such savings makes using Authority Auto a total no-brainer. Thank you for making the testing and buying of my new car so much fun... I would not buy a car without your assistance again. Thank you for making the testing and buying of my new car so much fun. I named the models you set up the test drives and when I got to the dealers, they were waiting for me with the keys. Then, your knowledge, contacts and negotiating skills insured that I got the price I wanted. Thank you also for checking each detail on the lease with me. As a financial services provider myself, I know that the devil is in the details of a good deal. Your sure hand through the process gave me a sense of comfort and a great result. I would not buy a car without your assistance again. I mean that. For what you charge, itâs a no-brainer. The experience and dedication to personal service you bring to the table is an example to anyone in the sales and service arena. I wish you the very best as you grow you business and you can definitely count on me to refer you to everyone I know. "saved me $3000 on the transaction... I will never shop for a car any other way." The best $600 I ever spent! Before I met Authority Auto, I hated buying cars. No how matter much I educated myself prior to visiting a dealership, I always felt cheated... even after spending hours (literally) going back and forth with the salesmen. Not this time. Once I found the car I wanted, Authority Auto used their expertise to negotiate with the dealer for me. Not only did they save me the hassle and stress of haggling with the dealer, they saved me $3000 on the transaction.... and had the car delivered to my house! It was almost as easy as ordering a pizza! Now I love buying cars! I will never shop for a car any other way. Recently I purchased a new automobile with the help of Authority Auto. Not only did I receive a generous discount on my new car but all details were handled in a professional and friendly manner. Without any hesitation I recommend that when buying a new car use the assistance of Authority Auto. Authority Auto made buying a car a fun experience. I felt like a VIP and we saved a substantial amount of money. Oren is a man of his word and a pleasure to work with. I highly recommend using their service. I originally received quite a few recommendations for car brokers/agents and when I called Authority Auto. I felt very comfortable with how clearly they described their process and their overall demeanor, enough that I opted to use Authority Auto for my car lease. They worked very hard to find the exact car with the packages I wanted for a great lease deal. They arranged for several test drives. When we made the deal on the car it was also delivered to my home and the paperwork was taken care of in my dining room in a matter of minutes. In the end the car came in under invoice, with a great money factor and very little drive-off and the whole leasing process was as painless as possible. Throughout the process Authority Auto's staff was incredibly pleasant and professional to work with. I couldnât be more pleased with the entire process and Iâm extremely happy with my new car! Since getting the car I've referred about a dozen people to them and will shortly be using them for a second car. I cannot say enough about Authority Auto. Authoority makes the entire car buying experience a pleasant one. They provide expert advice, a far better price than I could have gotten myself, and convenience throughout the whole experience. I rely on them for all of my business and personal car needs and I recommend them to anyone looking to buy a new or used car. I want to thank you for the amazing service you have provided me in purchasing my new Prius. You made a stressful situation effortless. I never had to go to a dealership, never had to negotiate a price—you saved me so much time and money. I will recommend you to anyone I know who is buying a car. Your service was invaluable to me and everyone there was a pleasure to deal with. My experience with Authority Auto was exceptional. They were competent, efficient, and quick. My car was literally sold within 12 hours and I had it picked up the next day with no hassle. Best car selling experience I have ever had and is a must use service provider for anyone looking to buy or sell a car. Thanks so much for everything!!! This has truly been the easiest car buying experience so far, and I counted today, I have purchased (or leased) 6 cars to date! Working with Authority Autoand you is nothing but a WIN WIN and I will work with you from now on whenever trying to purchase a car. I saved money, I didn't have to haggle, and I actually got my car delivered to my door step! Most importantly, I know I got the absolute BEST deal I could have gotten on my new lease. That is Big Peace of Mind for me! Working with Authority Auto was simply the most hassle-free, pleasant car buying experience Iâve ever had. It took less than 5 days from the time I contacted Authority Auto to complete my transaction. They delivered the exact car (Lexus 400h) I wanted right to my driveway and drove away my used car at a fair trade-in price. And they coordinated getting an integrated iPod into my new car before it was delivered to my house. It doesnât get more convenient than that! Plus every time I had a question, the team at Authority Auto was available to answer my questions. 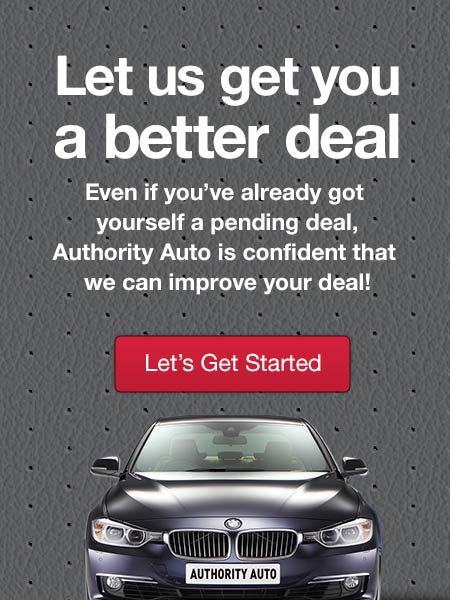 I would highly recommend Authority Autoto anybody looking to get a great and trustworthy deal on their next car! I want to express my satisfaction regarding the car buying experience of the Lexus 600HL . You not only found the car I wanted that was almost impossible to find, but you also made the buying process almost painless. Your advice regarding buying versus leasing was enlightening and after considering the good and the bad I decided to lease. Your overseeing the lease agreement with the dealer was valuable as it gave me an outside expert opinion on the lease. Your arranging for the resale of my Mercedes eliminated one annoying step that I would have needed to do. In short; you made car buying a pleasure instead of one where I would have needed to haggle with car dealers and waste my time. I will be pleased to recommend you to my friends that may desire to purchase a new car. "huge kudos to you for simultaneously selling my two other cars that clogged our driveway." Just a note to say thanks for being my 'car-knight in shining armor'. Working with you was a breeze - I know I would never have had the patience nor tenacity to search pretty much all of America to find my dream car with the exact options I wanted. No compromises, no stones unturned, you really pulled off a coup. Thanks for negotiating the price with authorityÐyou are the authority. It was well worth it. I love my white Range, and the door-to-door delivery was so welcomed during this busy Christmas time. Finally, huge kudos to you for simultaneously selling my two other cars that clogged our driveway. That was the biggest no-hassle blessing you brought me. Call you again, in a few years! Hello, My wife and I recently utilized the services Authority Auto to purchase two new automobiles and I wanted to provide a brief description of the excellent service we received. Authority Auto handled the purchases, as well as our trade-ins, in a most professional and efficient manner. We were very pleased with the prices we paid and received and especially with the ease of the transactions. Authority Autoresponded very quickly to all of our questions and provided valuable input as we zeroed in on the perfect product for us. They arranged delivery of the new cars and pickup of our trade-ins and streamlined the documentation process to ensure an entirely painless process. We're both happy to recommend Authority Auto to our friends and know that several have already acted on our recommendation. Itâs clear to me that Authority Auto's business will grow very quickly based on the valuable yet reasonably priced service that he provides. Feel free to contact me if you need additional information on our experience with Authority Auto. "Oren found the car I wanted at a fantastic price"
Alignment of Interests - Authority Auto's only interest was in getting me the best deal. Other auto brokers get paid either from the dealer or under contracts that would have forced me to purchase a car at a defined price. With Authority Auto, my interests and theirs were the same interest. No pressure - Brokers (be they stock brokers, real estate brokers, or auto brokers) arguably have the incentive to close any deal as fast as possible. Despite this incentive, however, Authority Auto understood that this is a referral business, and that happy customers will bring them future business. They were happy to work at my pace, and wasn't happy until I was happy. Resourcefulness - Ironically, Authority Auto found the best deal at my local dealer, not one hundreds of miles away, though he researched many other dealers as well. Negotiating Skill - Authority Auto found the car I wanted at a fantastic price, and set up an appointment for me to go in and view the vehicle. Unfortunately, when I arrived, they made me wait for 20 minutes before they told me that the car I was waiting to see had just been sold. For this 20 minute inconvenience,Authority Auto was able to squeeze the dealer for an additional $1000 on the trade in. Add that to what he saved me off the sticker price (about 11%), and itâs obvious that they added a huge amount of value to the transaction. Authority Autofound me a far better deal than I could find for myself, and he saved me a lot of both time and money. They are professional, courteous, diligent, and responsible. I would use them again without hesitation. "...not only did he save me an additional $1,500 from the dealer's "absolute" lowest price, my car came fully loaded!" I wanted to get a new car and had visited several dealers. I decided on an Audi and the salesman was telling me that I got a great deal and that he really "crunched the numbers" and got the price as low as he could go. Before I made a decision to buy, I knew of Authority Auto. They had years of experience as a top salesman, manager and general sales manager and knew all the inner workings of auto sales. Authority Auto works independently from the dealership. They were like my personal auto consultants. Needless to say, not only did they save me an additional $1,500 from the dealer's "absolute" lowest price, my car came fully loaded! He takes all the guess work out of knowing if you are getting the best deal or not. It is a service that is simple, efficient and cost effective. I highly recommend them. "Why should we have to pay more money when a better deal is just a phone call away?" We were just a few hours away from purchasing our 2006 Toyota Sienna, when we contacted Authority Auto just to make sure we were getting the best deal. I had spent months researching the subject and contacting dealerships through the internet. I had a thick file folder of information and a list of prices from at least ten dealerships. Based on pricing information I got from some independent internet sources, I knew I was getting a great deal. I was even happy with the price I had negotiated on my own. After talking with Authority Auto, they told me what I already knew which was that we were getting a great deal...but maybe they could do better. Well, within an hour they called me back to report that they had negotiated a better deal that saved us $600 [savings after authority fee]. Furthermore, I had been told by other sales people that the color we wanted was not available in all of Southern California and that we would have to wait 2-3 weeks for the car. Authority Auto not only beat that great price, but they got us the exact car we wanted that day. We were so happy we contacted Authority Auto because why should we have to pay more money when a better deal is just a phone call away. With two small kids, the money we saved will be put to good use. 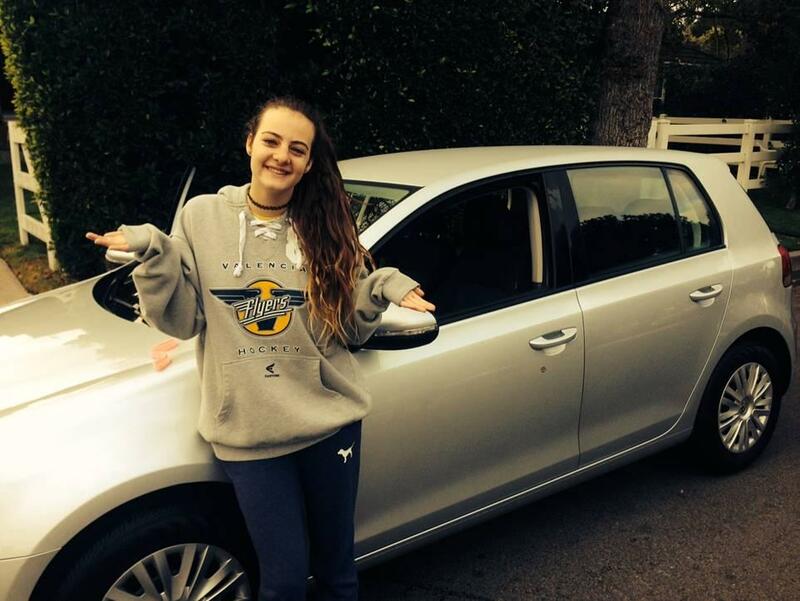 "completely confident knowing I got the best deal"
Once again the car leasing process was easy and enjoyable. I walked in feeling completely confident knowing I got the best deal I could. It felt great going to the dealership Authority Auto chose because everything was set up for me. I walked in; test drove my new Audi and signed the papers. The dealership showed me how to work everything on my new car and I drove out of there with the best feeling. I will always use Authority Auto for any car I buy. "In the past I had taken whatever deal was presented to me"
When I went to purchase my newest vehicle, I was hesitant to buy. In the past I had taken whatever deal was presented to me, never knowledgeable enough to negotiate my "best" deal. When making my most recent purchase of a 2007 Tahoe that had just been released to the public, I was quoted three prices that ranged from $52000-$55000. These quotes seemed extremely overpriced, perhaps putting this car out of my league. I discussed my experience with a friend who then referred me to Authority. Authority Auto spoke with both the sales and finance managers and negotiated a price that was within my budget. Without Authority Auto, I would have gone without the car I really wanted. Not only did Authority Auto find me the right people with whom I should buy from, but also found a dealership that would make me an offer I could not refuse. It will be my pleasure to work with Authority Auto again! Without hesitation I will referAuthority Auto to friends and family looking to purchase or lease a vehicle. "got the factory navigation system for free"
Oren, thank you so much for the great deal! You found me the exact car I wanted when my dealership told me that it wasn't available. You got me so much more for my trade-in than my dealership offered me and your deal was so good that I basically got the factory navigation system for free( a $2100 dollar option). I will never lease a car without calling Authority Auto first. I wanted to thank you for helping me, yet once again, with the purchase of my new car. I was very proud of myself when I called you to tell you the deal that I had worked out with the salesperson. Well, my enthusiasm was short lived..... 30 minutes later and several conversations with the manager of the Mercedes dealership, you had saved me almost $100/month on my new lease...and you had the manager also include in the price my beautiful burl walnut steering wheel. Thank you very much. I think of you each month when I have to pay my lease payment. By the end of the year, your savings will equal to half of my yearly car insurance payment.